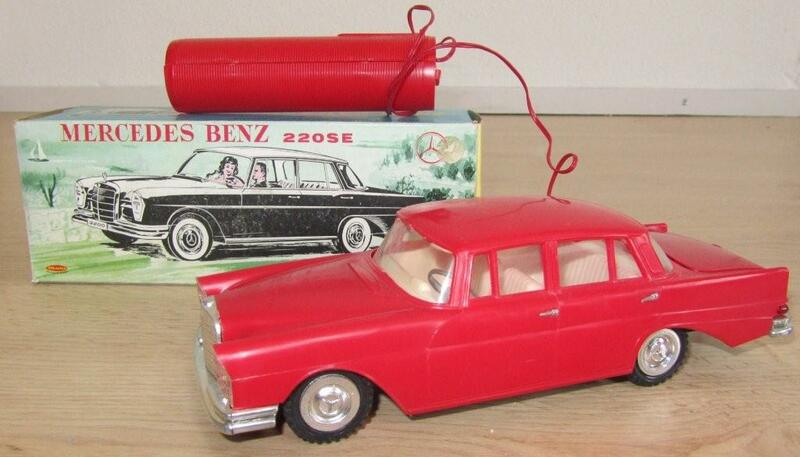 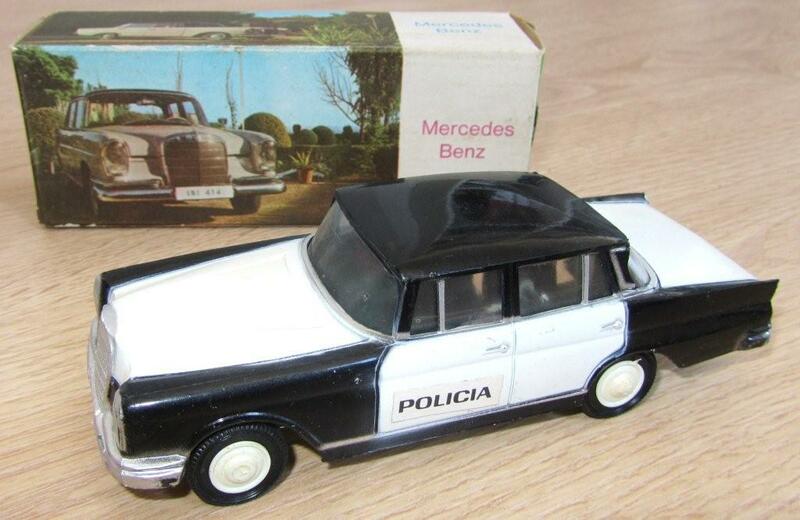 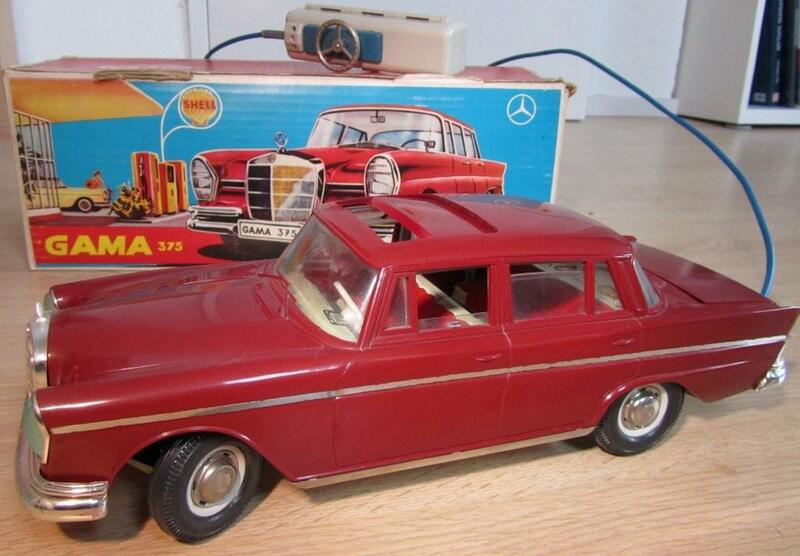 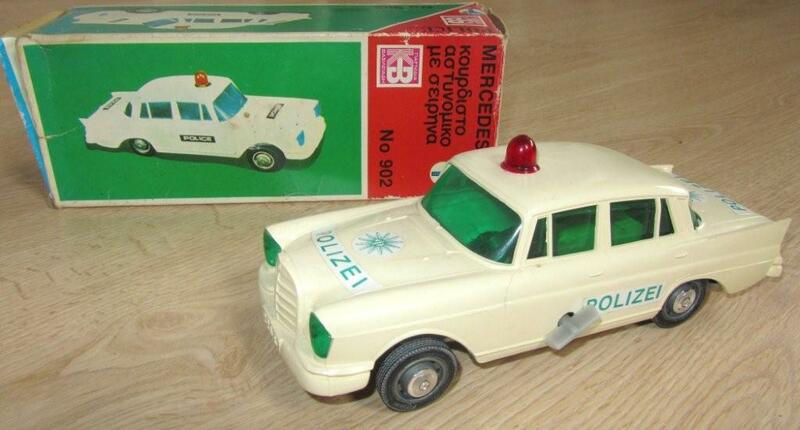 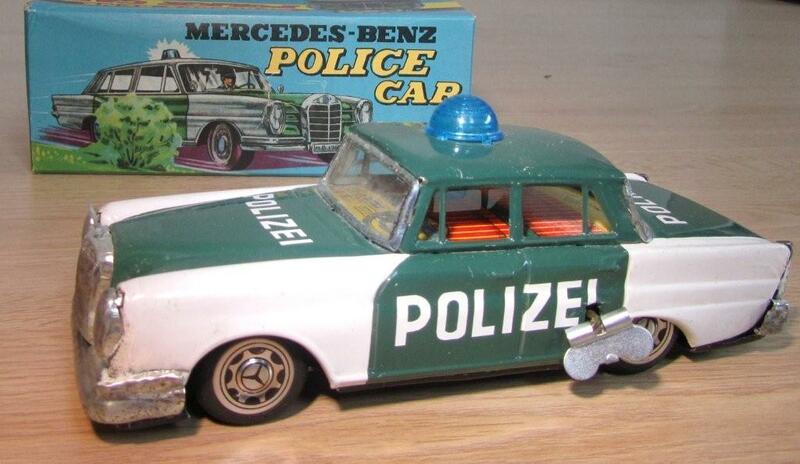 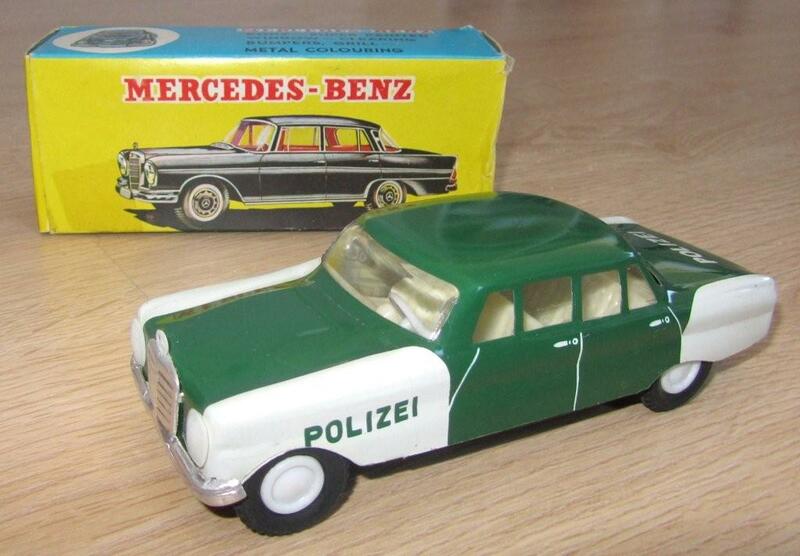 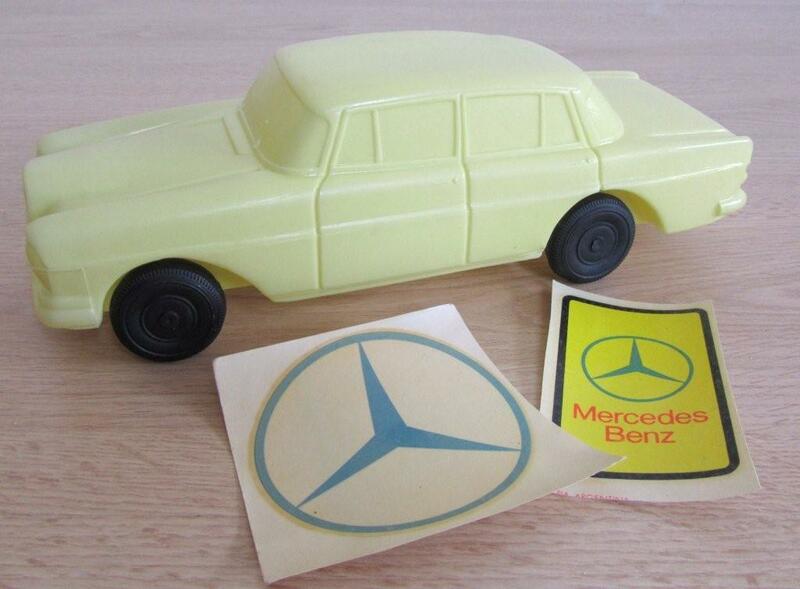 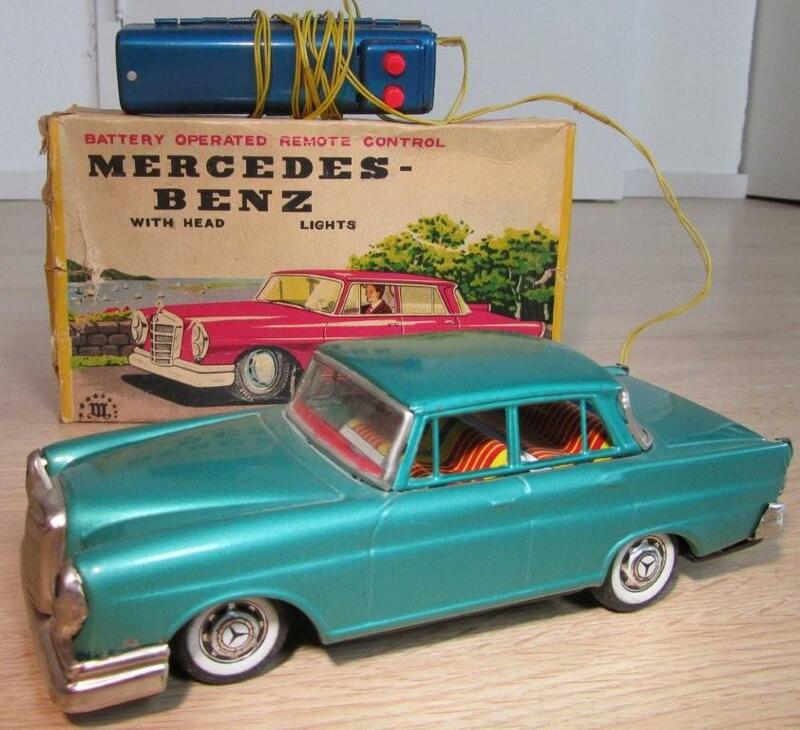 The cheapest 6 cylinder Mercedes had to offer. 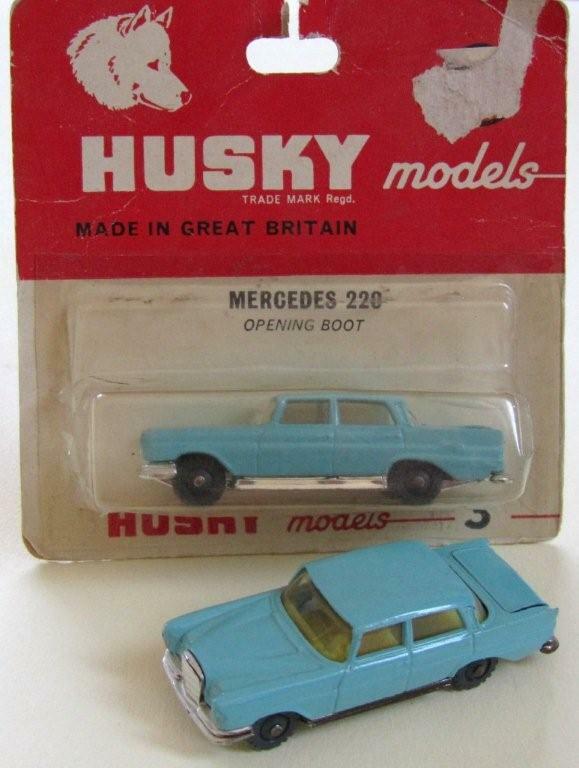 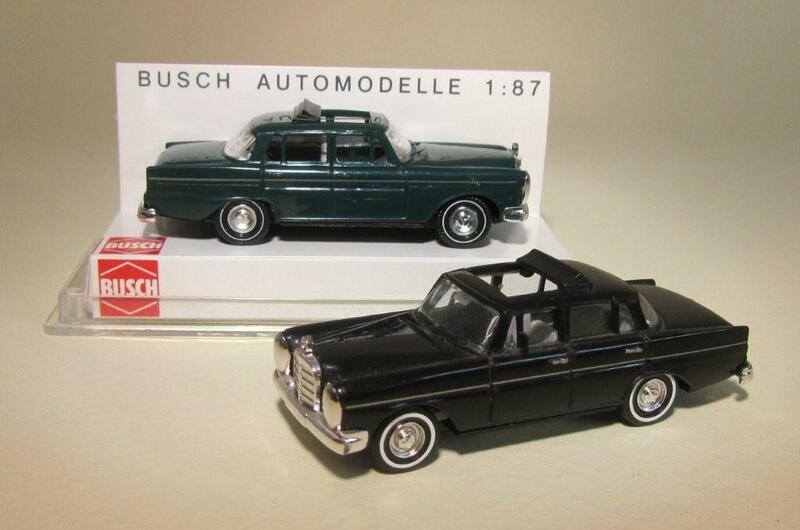 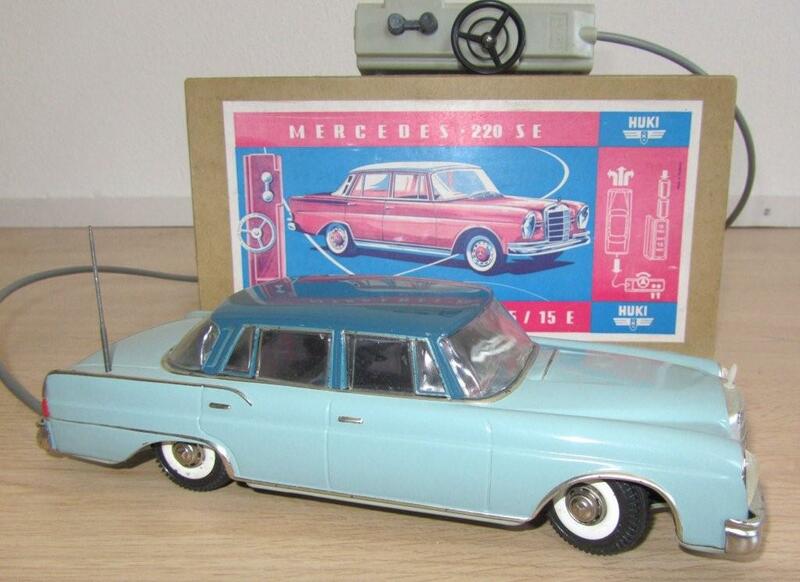 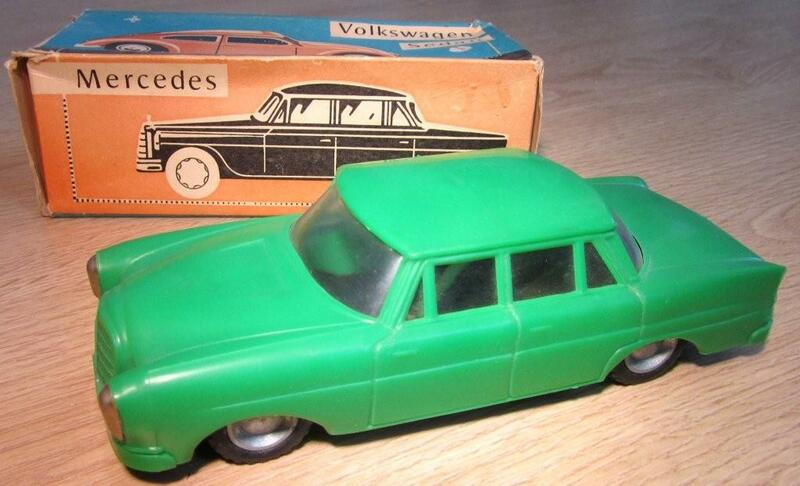 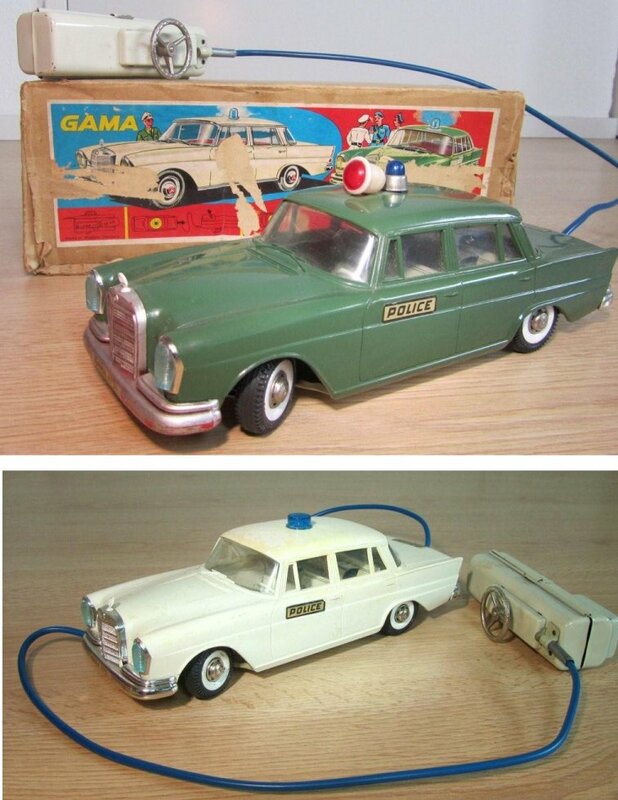 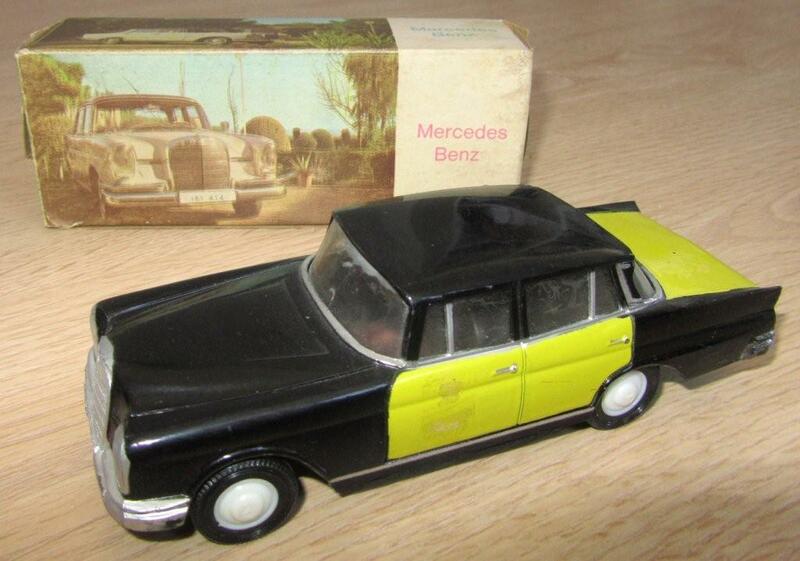 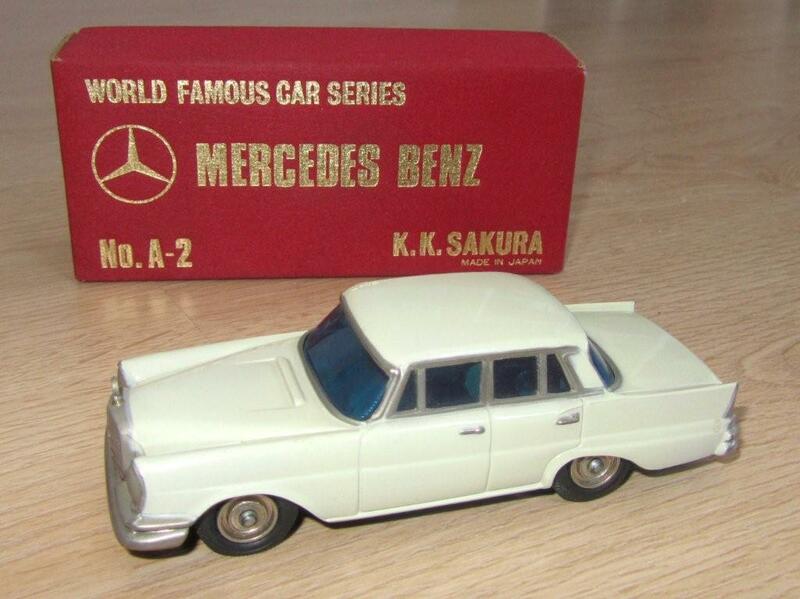 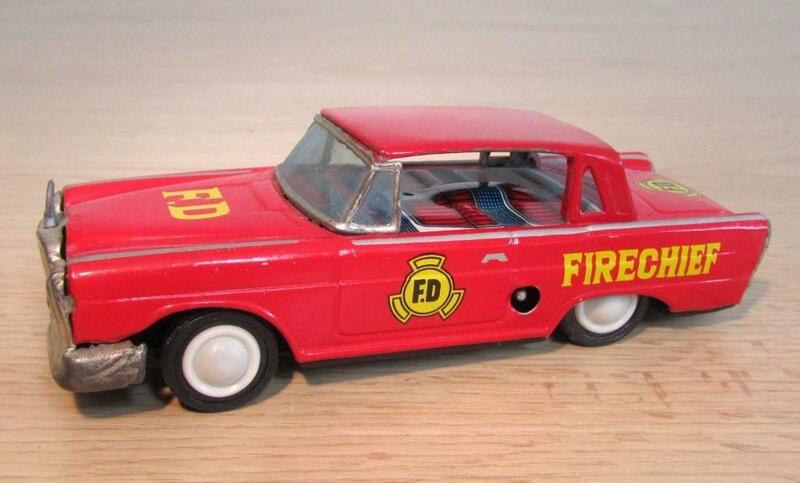 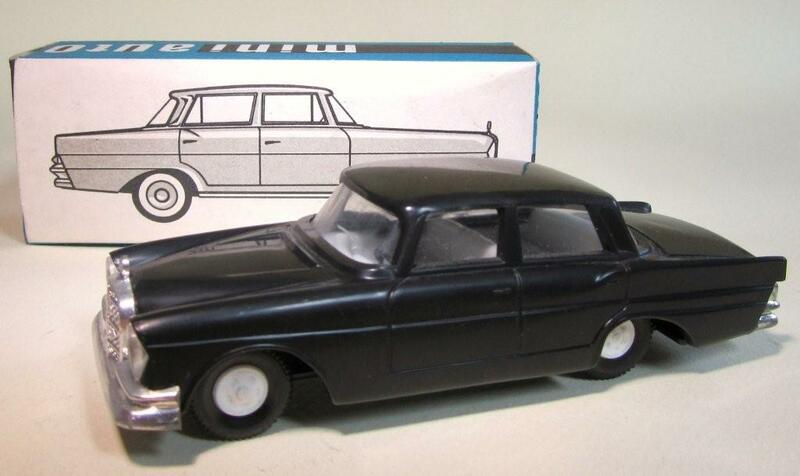 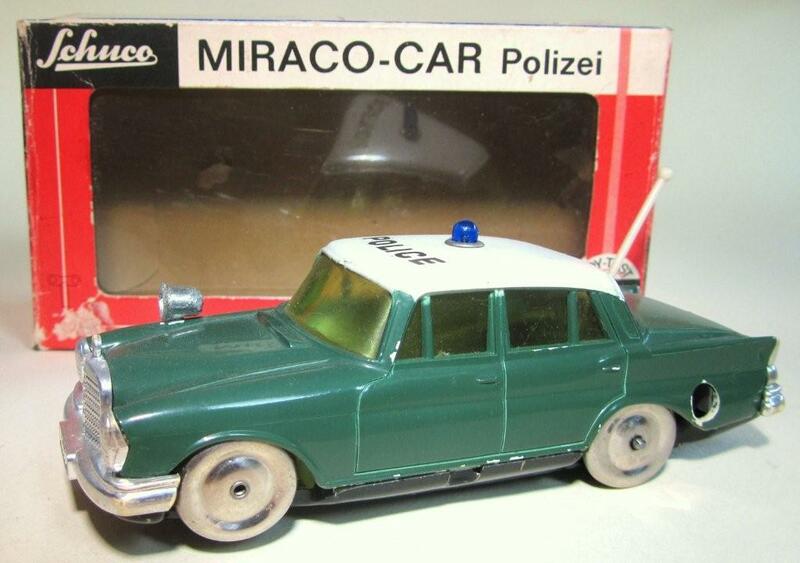 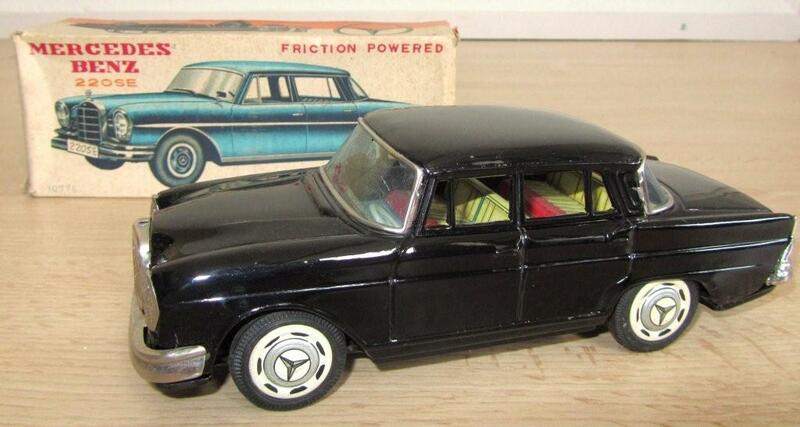 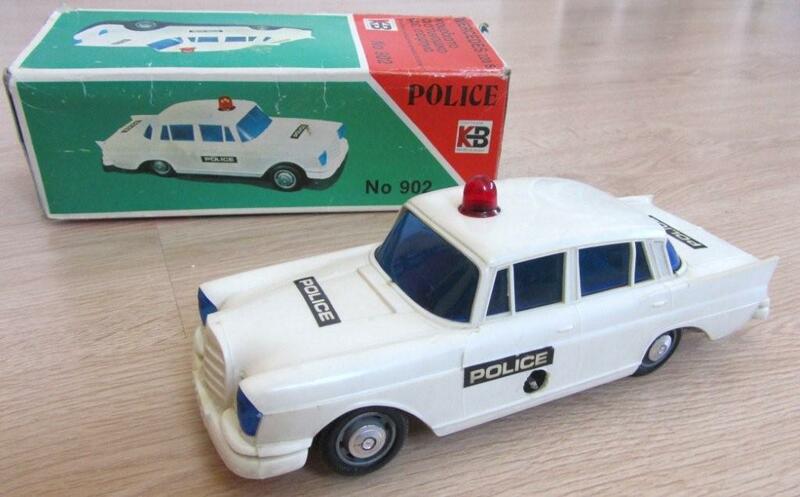 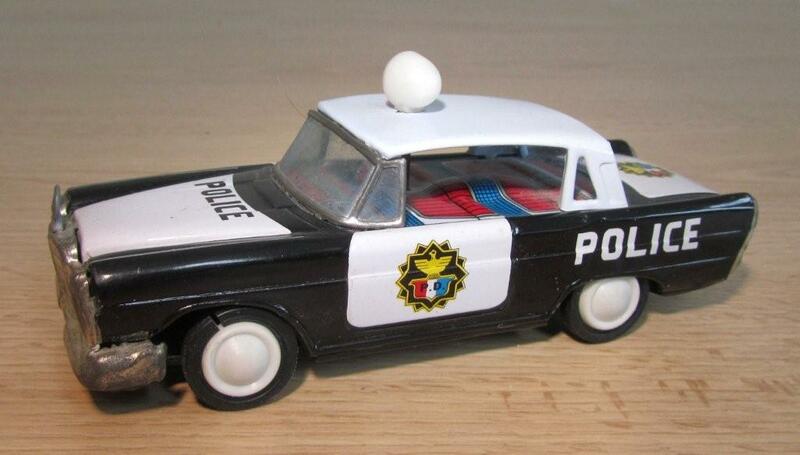 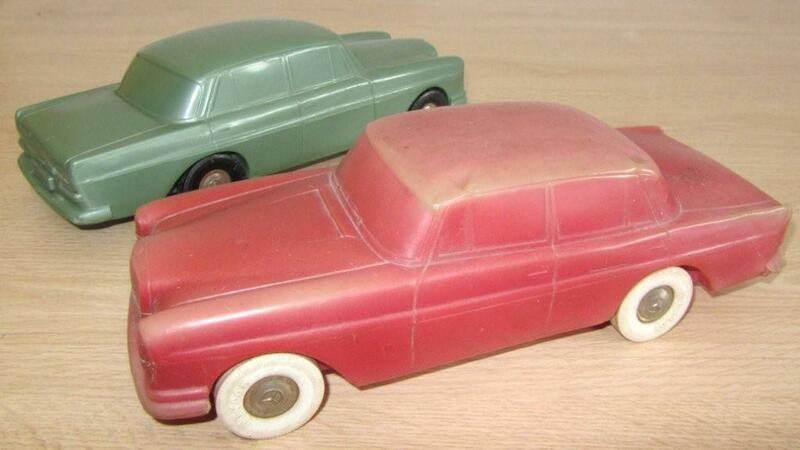 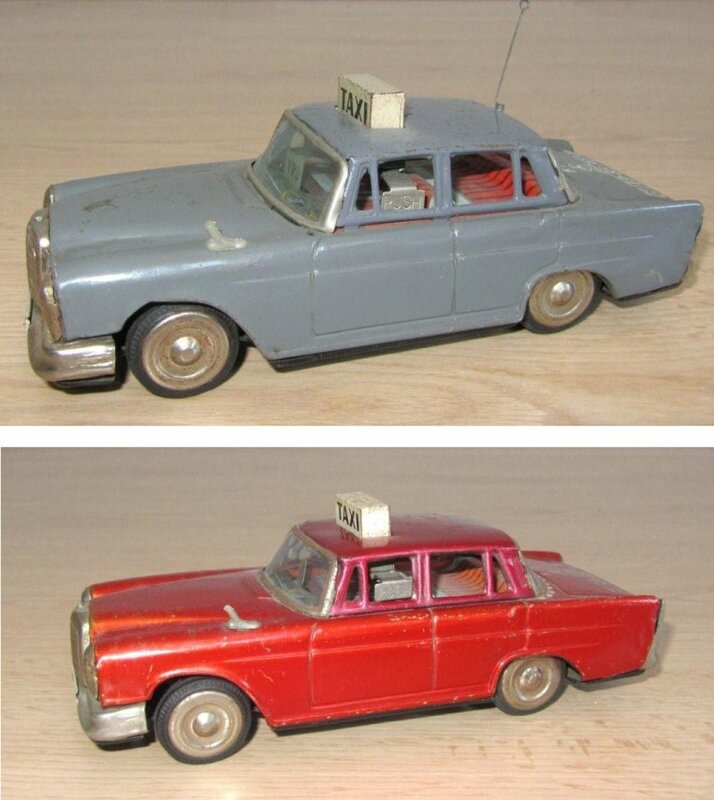 The 220 models were 14,5 cm longer than the 190 models. 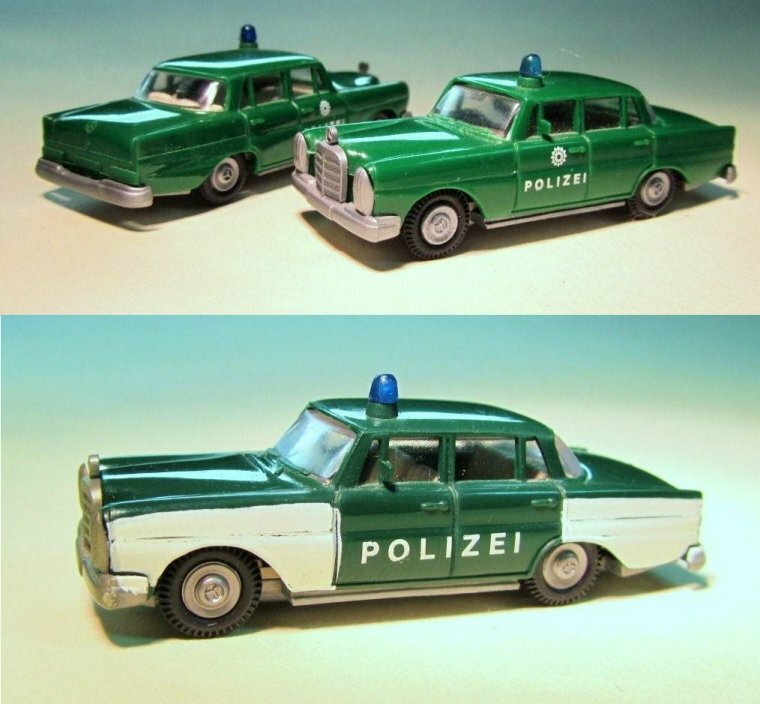 The most striking feature of the 220 models were the "Lichteinheiten" (combined lamp units) instead of the simpler rounder headlights of the 190 models. 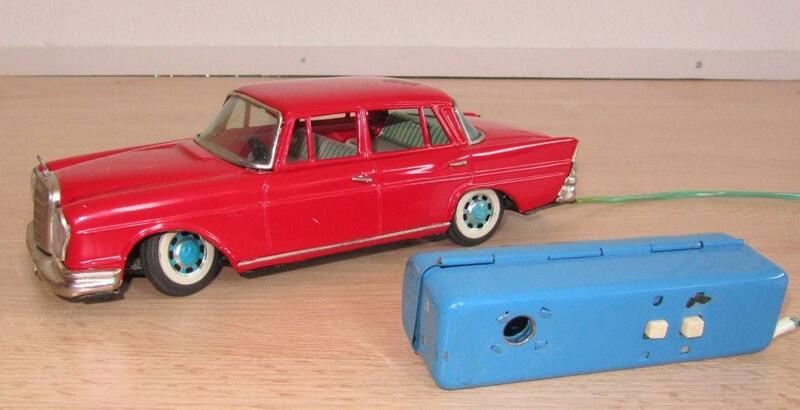 The back looked exactly the same as the 190 model with the single bumper and the simpler rearlights. 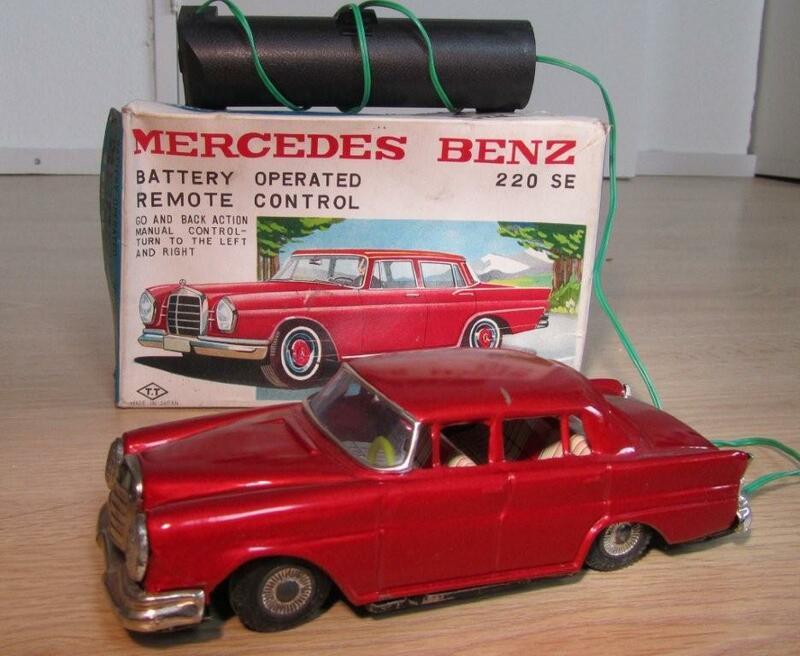 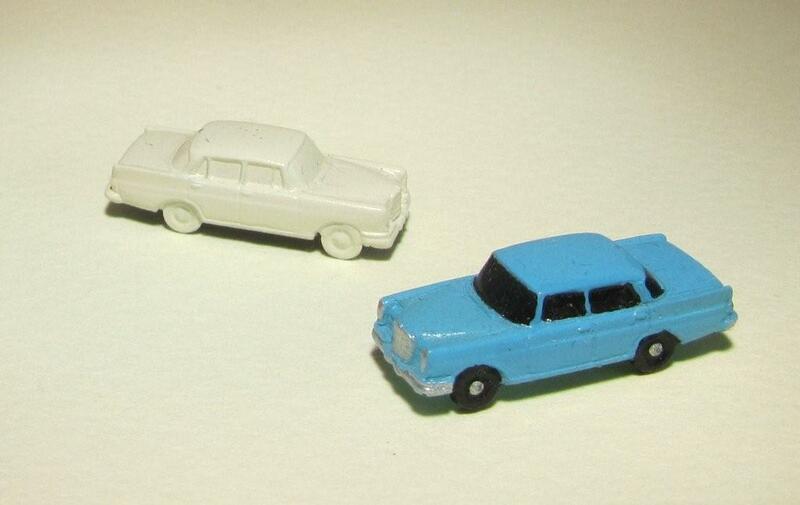 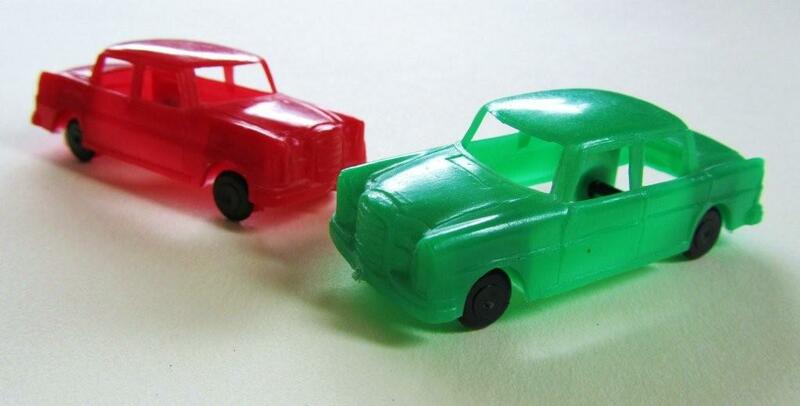 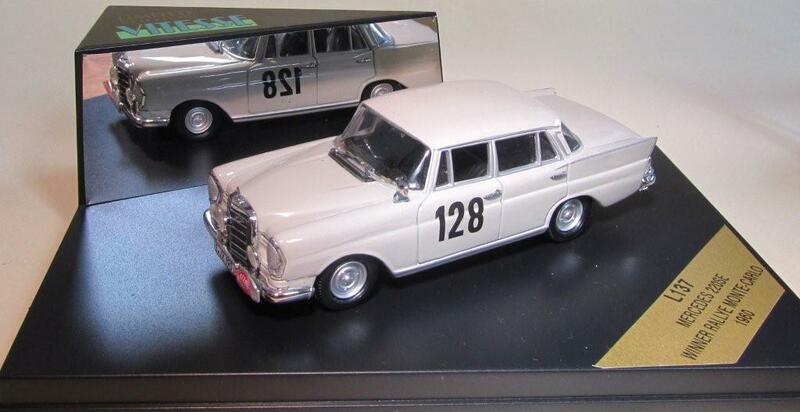 The 220S and 220SE are virtually the same car as the 220. 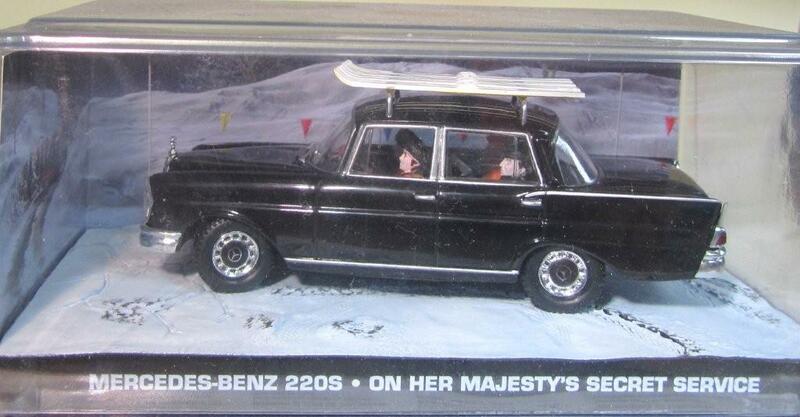 The 220S and 220SE differ from the 220 by the extra chrome trim round the rear lights and by the extra chrome on the 'fins'.  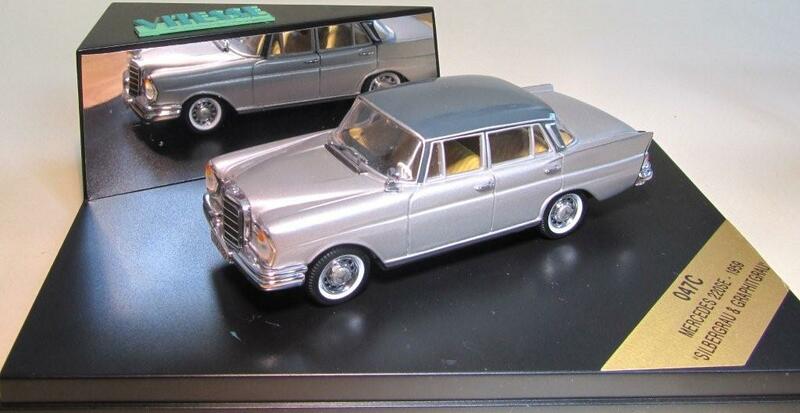 The differences between the 220S and 220SE are hard to find. 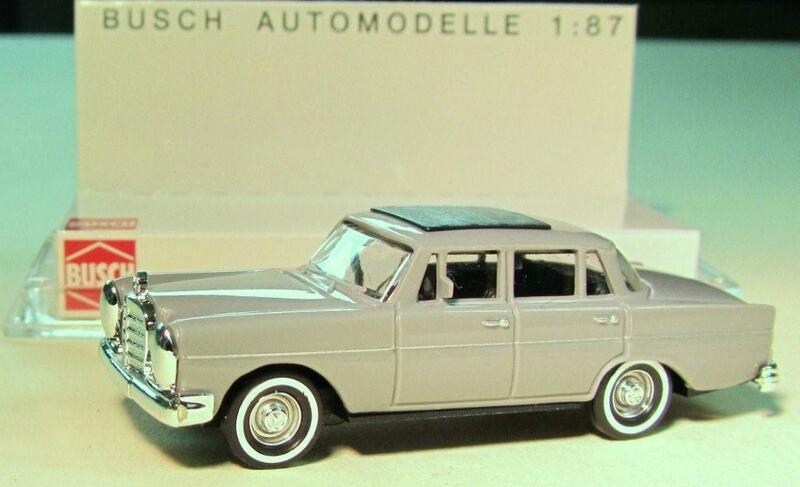 The difference can be found in the engine, the 220SE had an fuel injection engine (the E in the SE stand for 'Einspritzung'). 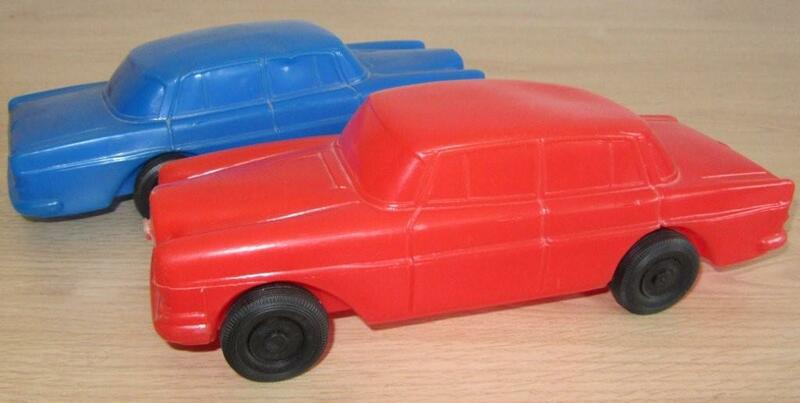 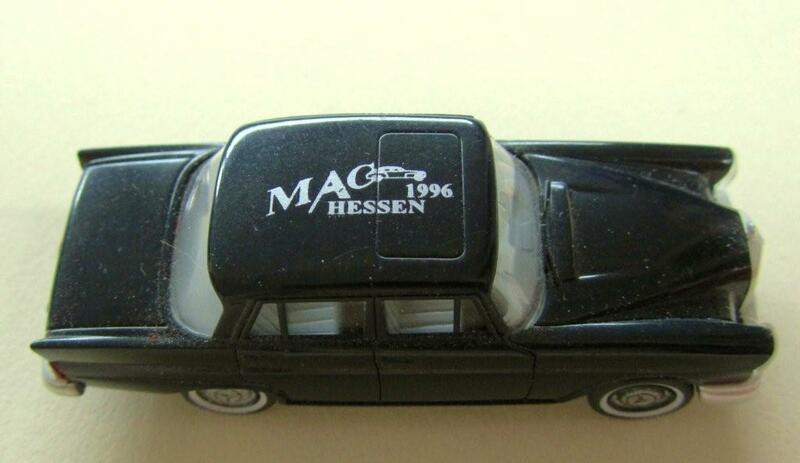 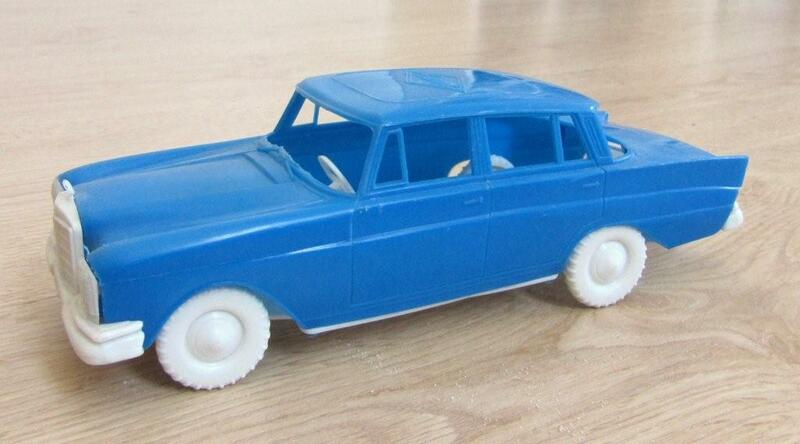 Magneto #3103 Germany plastic approx. 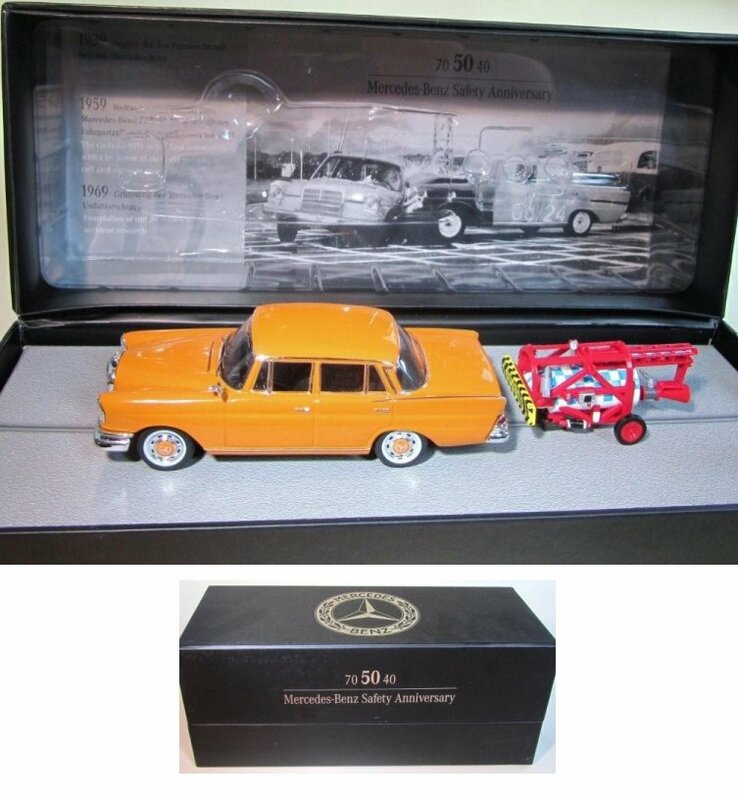 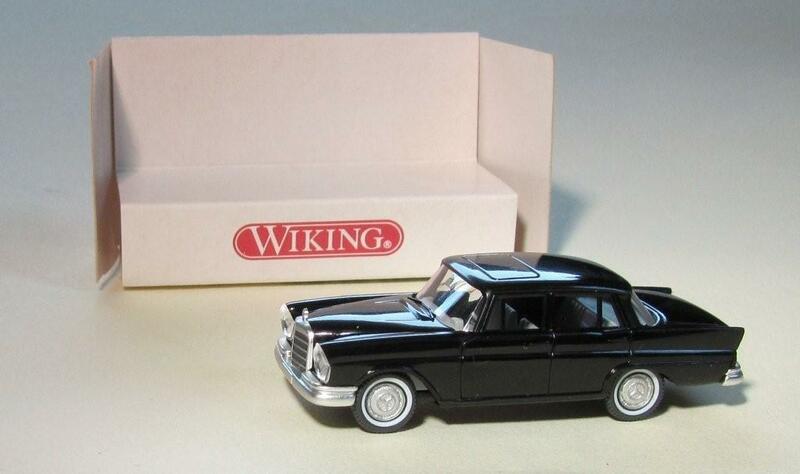 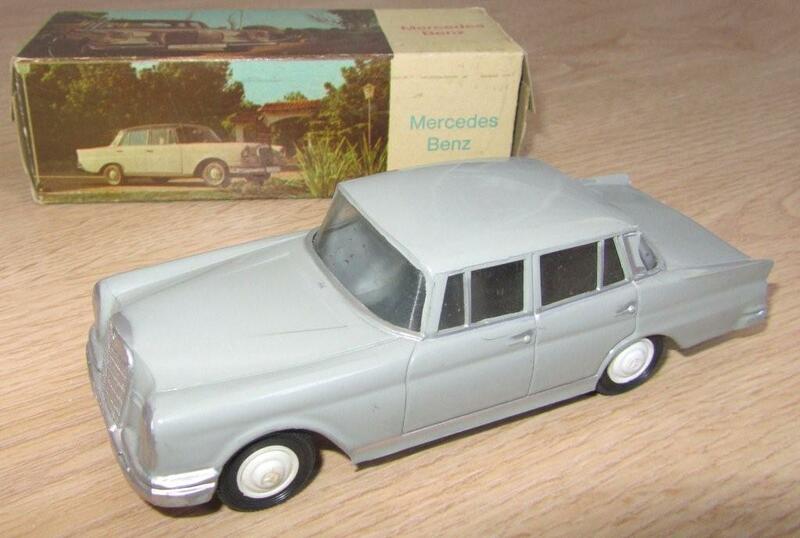 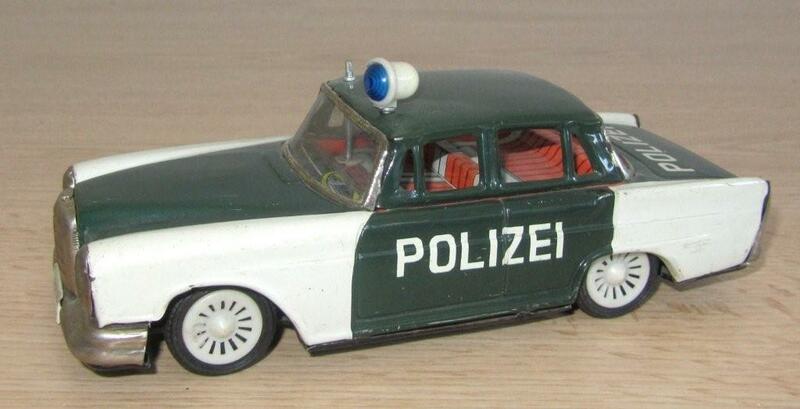 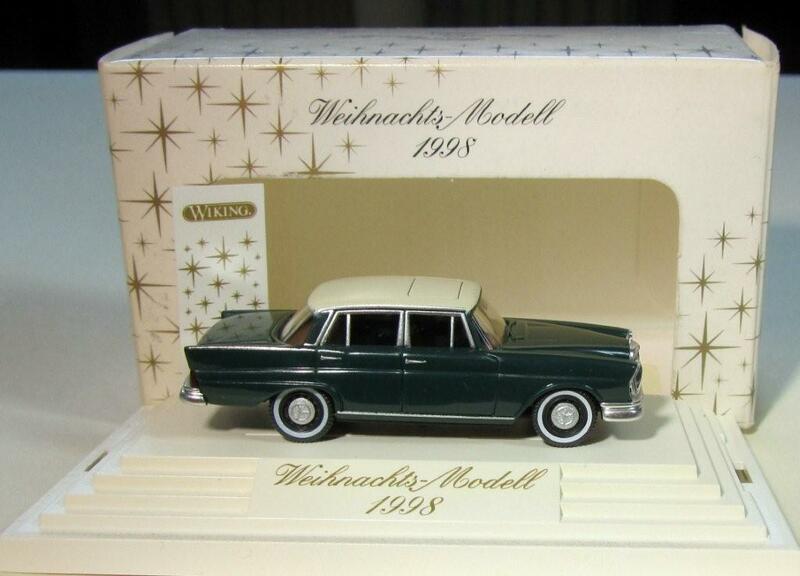 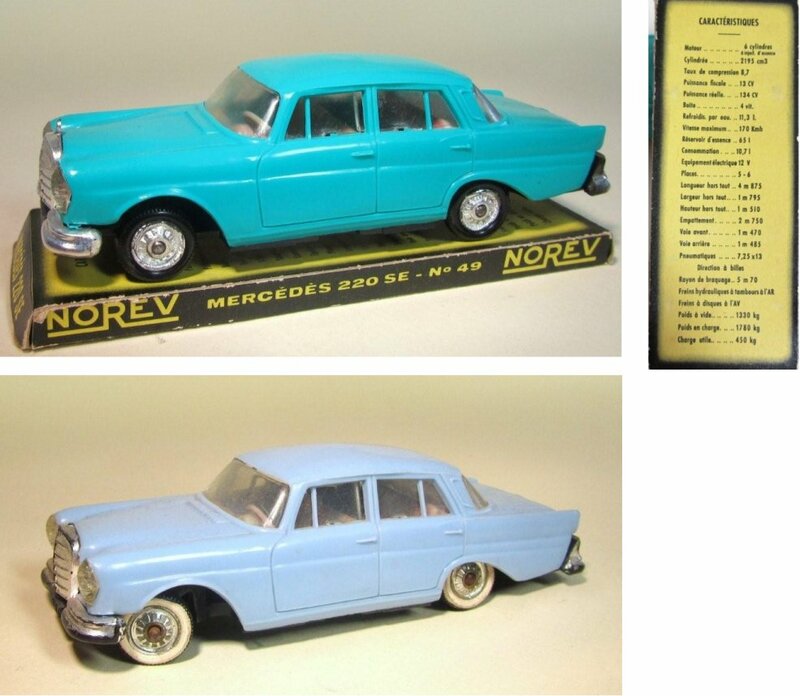 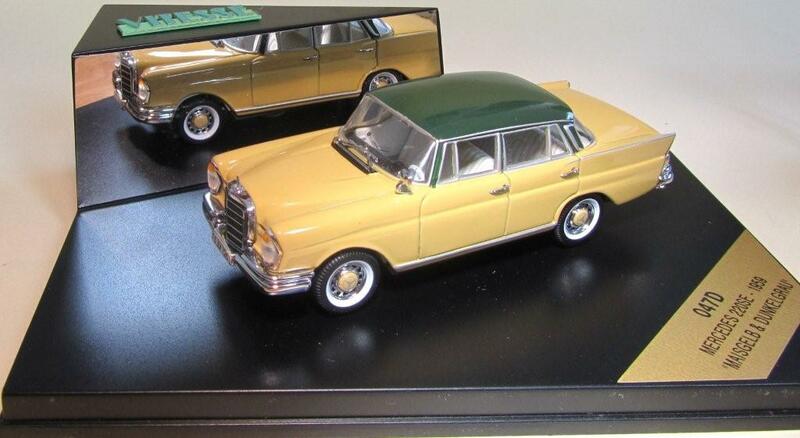 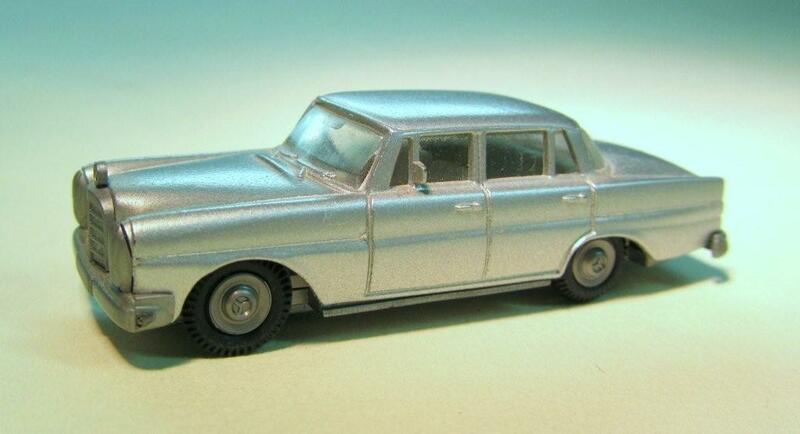 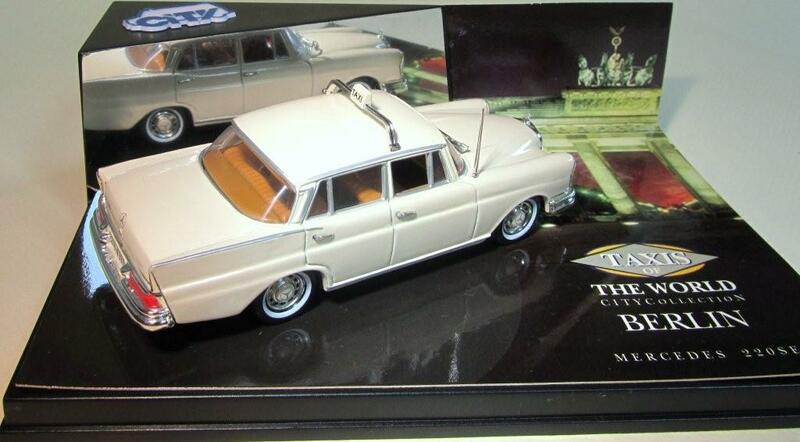 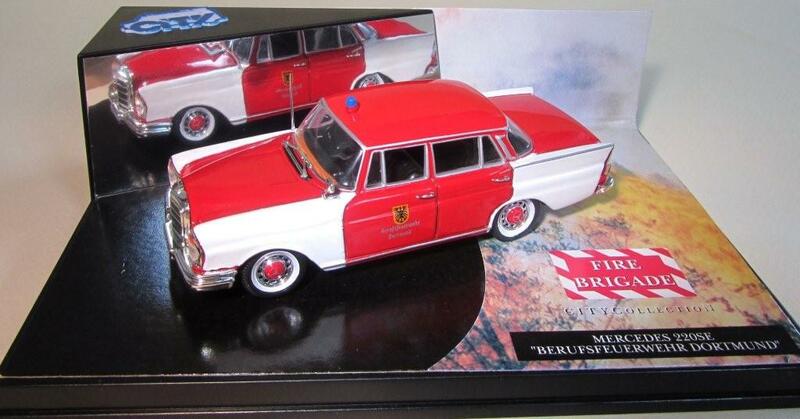 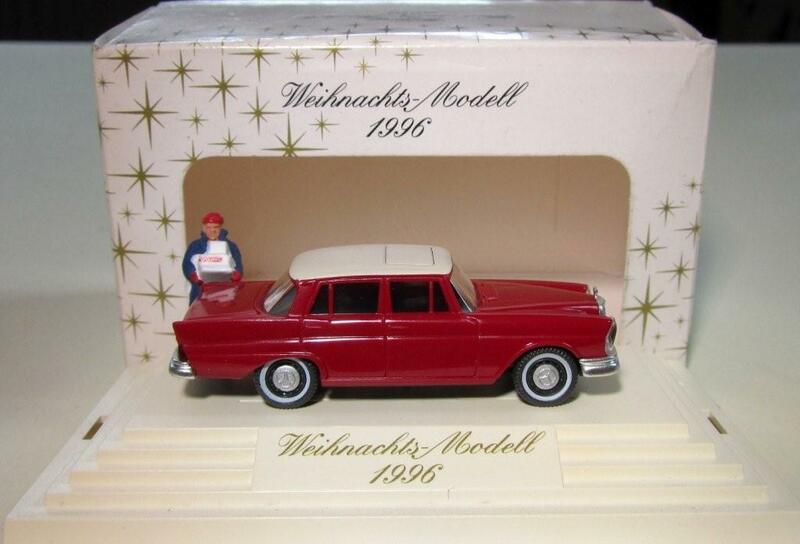 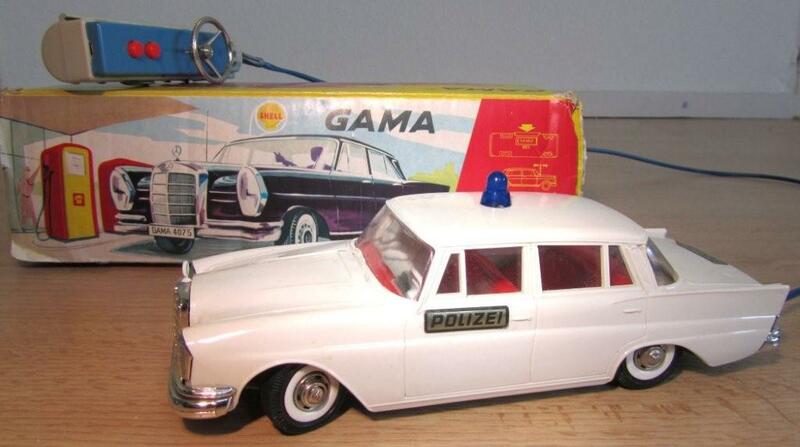 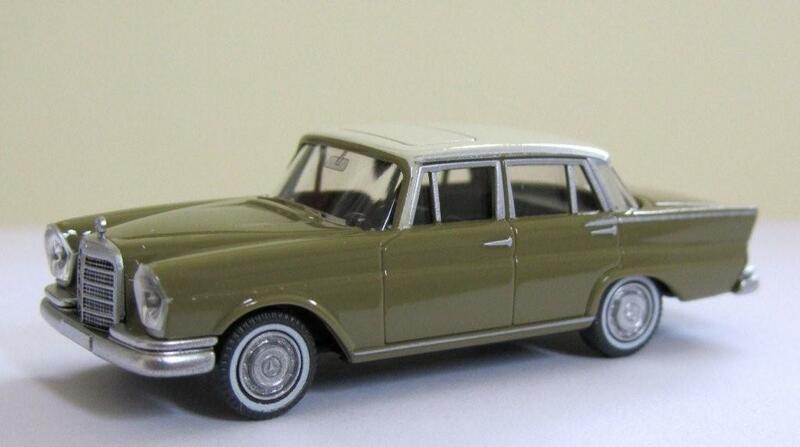 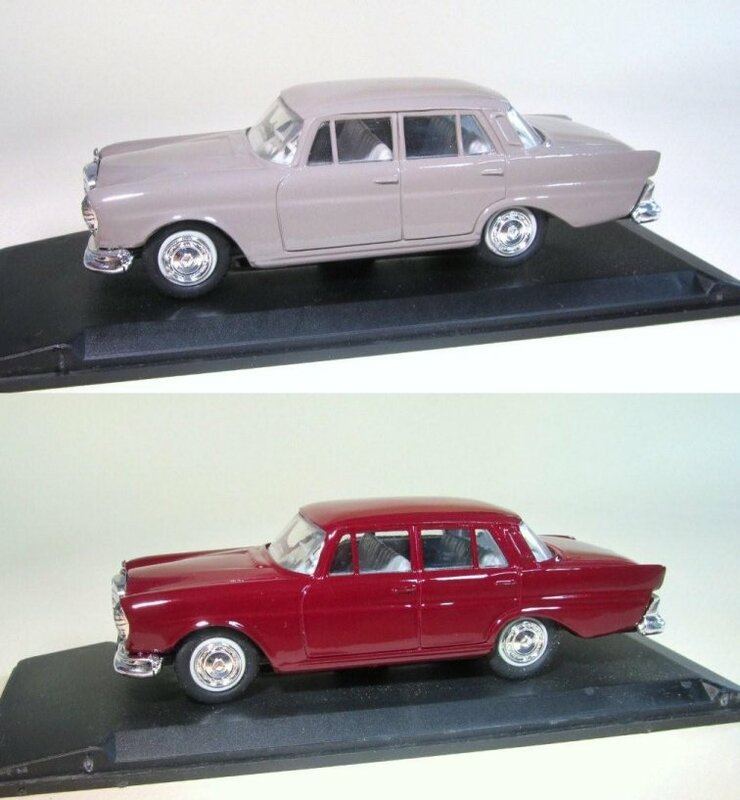 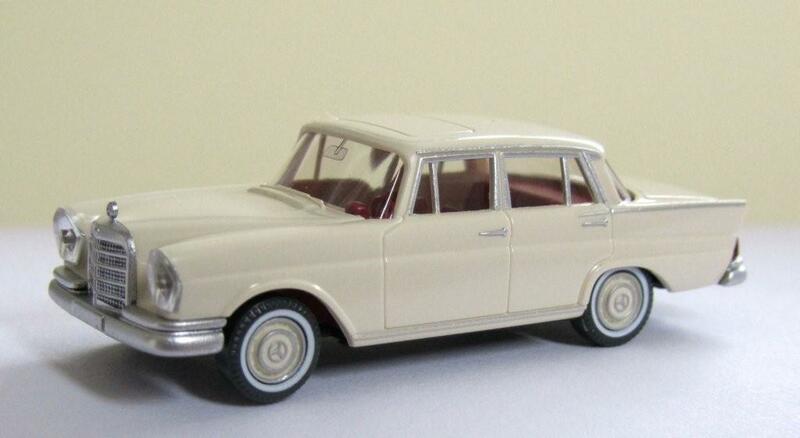 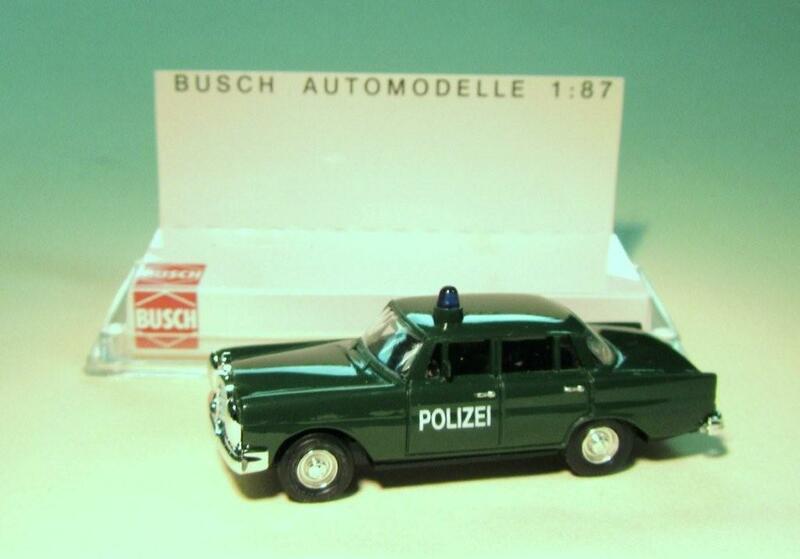 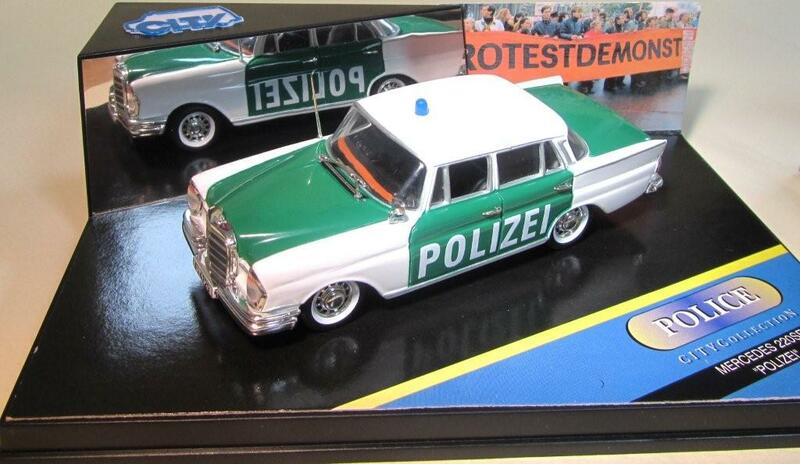 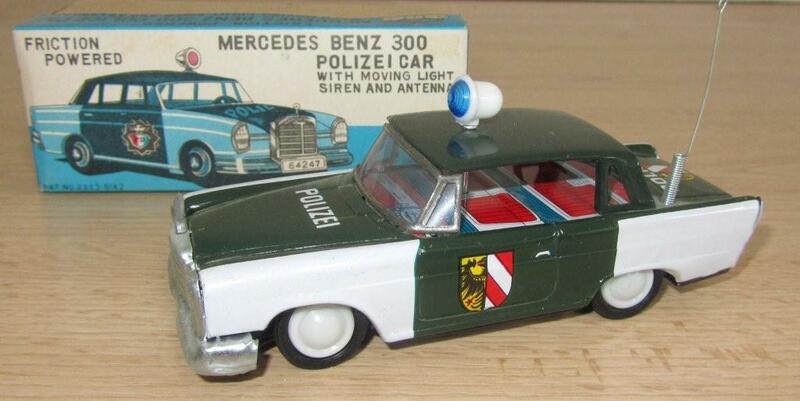 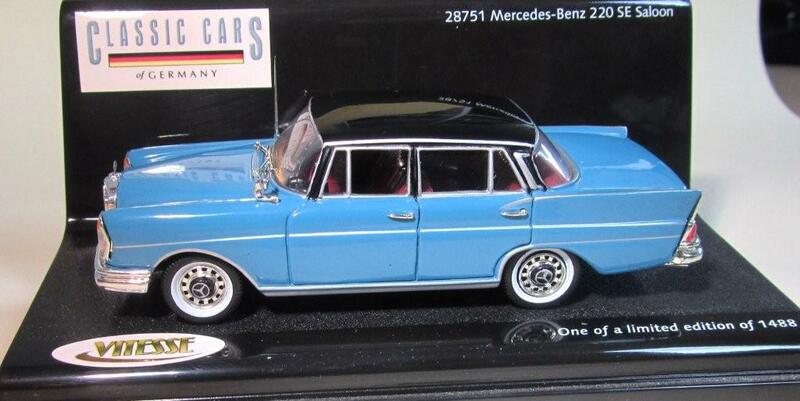 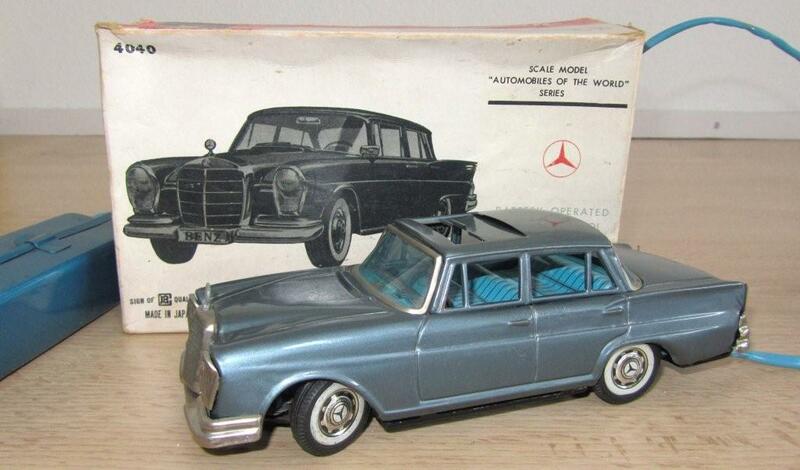 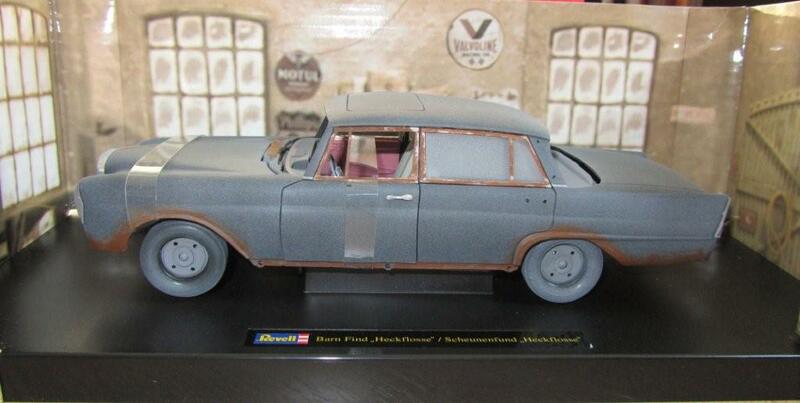 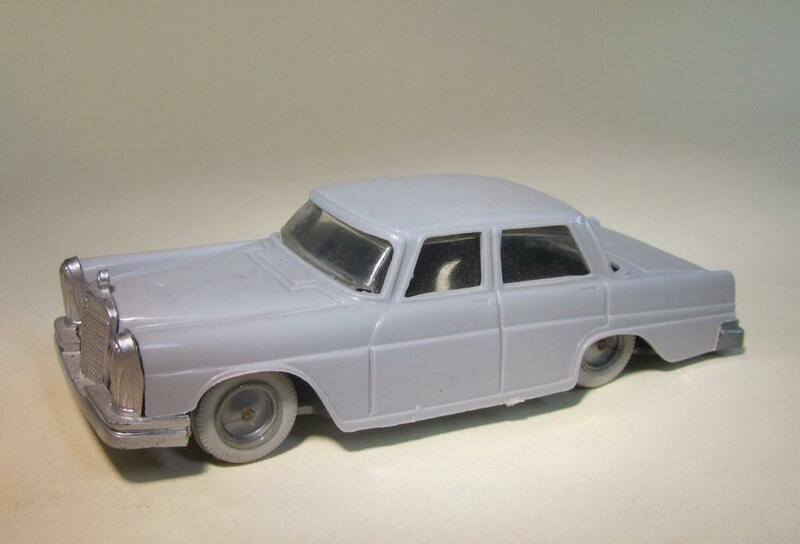 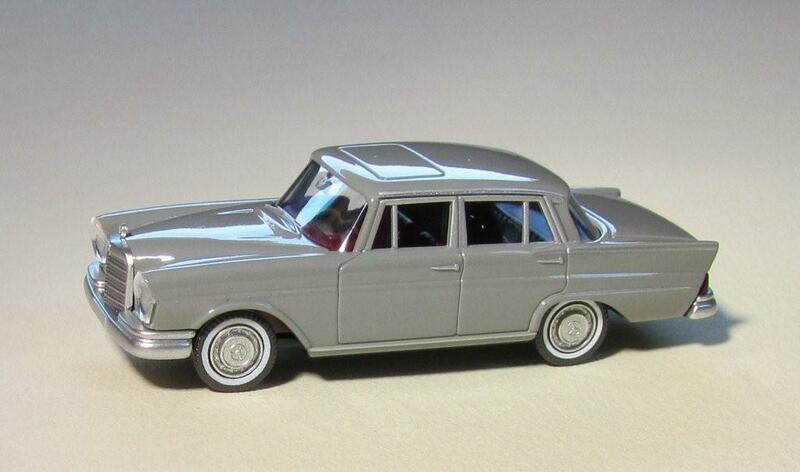 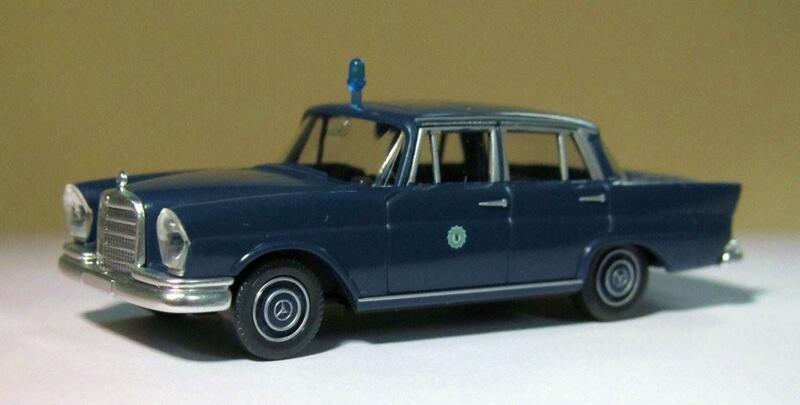 New series Germany plastic 1:87 civil, special Wandt edition Historica no. 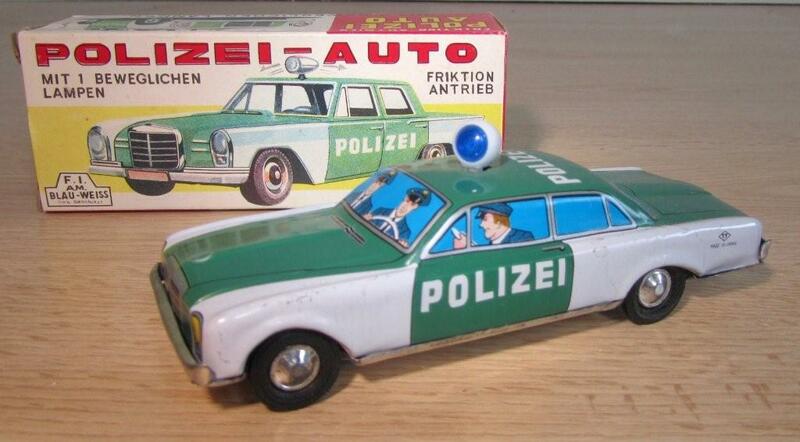 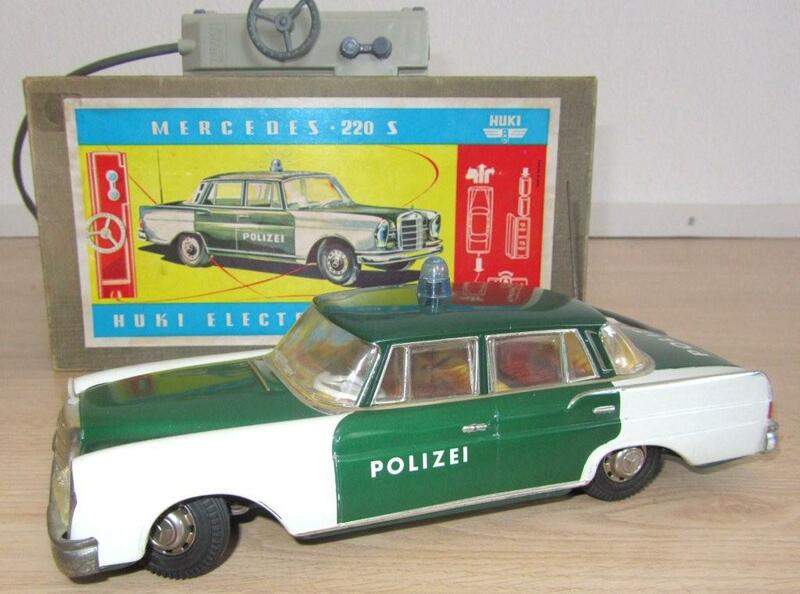 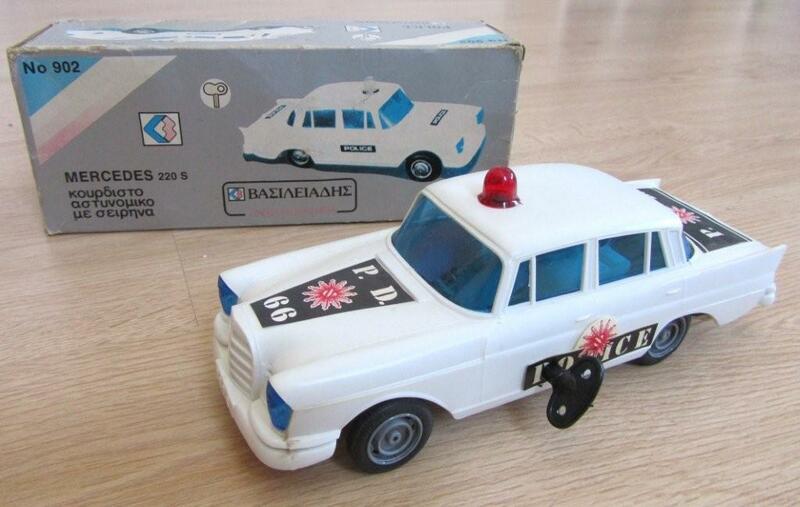 12, die 60er und 70er jahre. 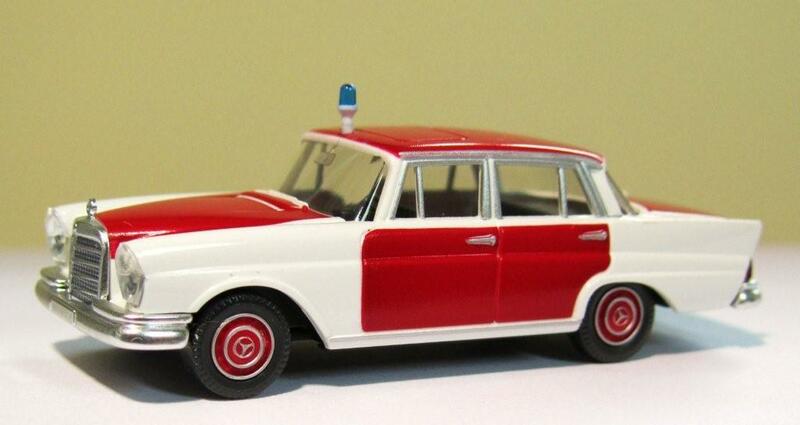 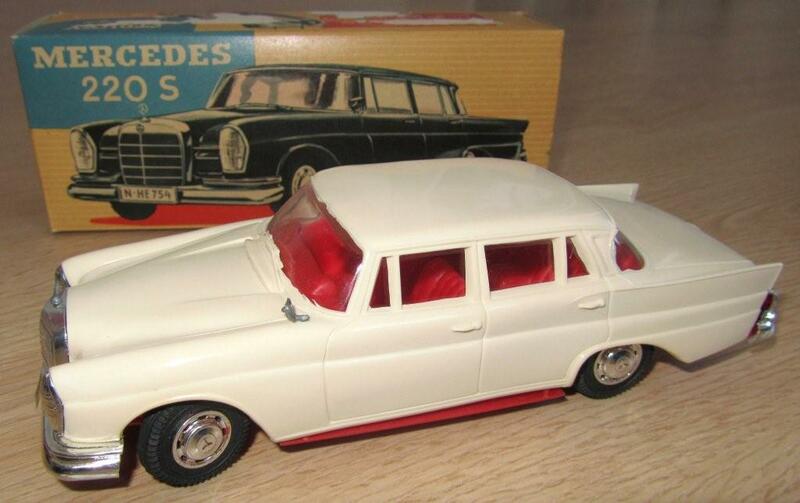 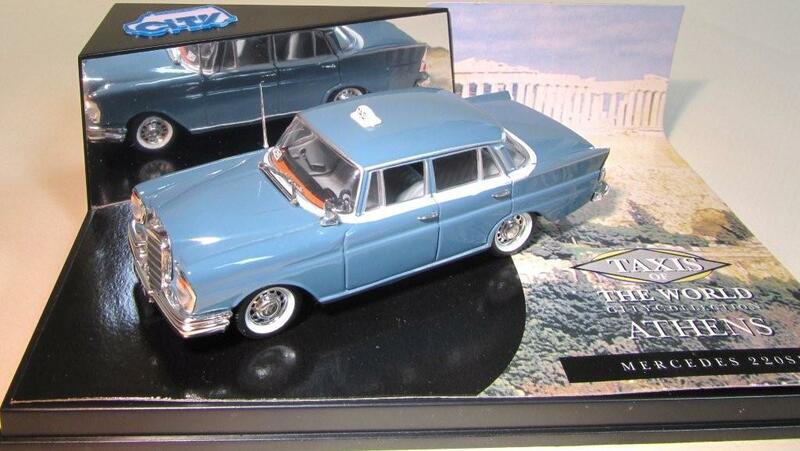 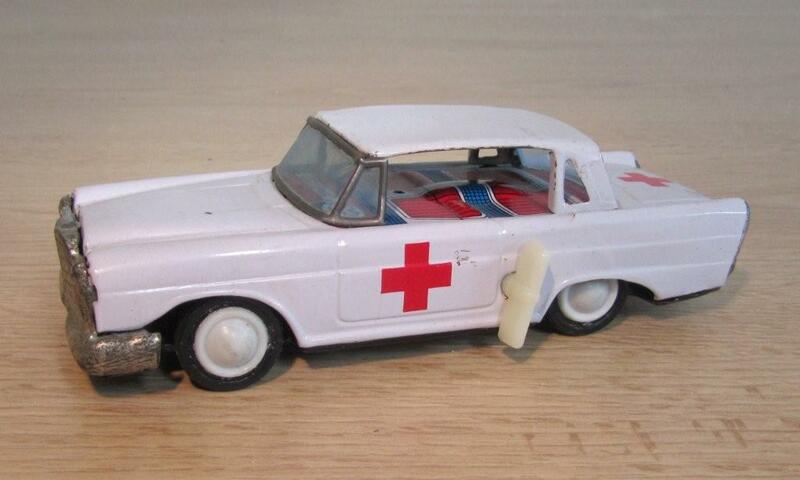 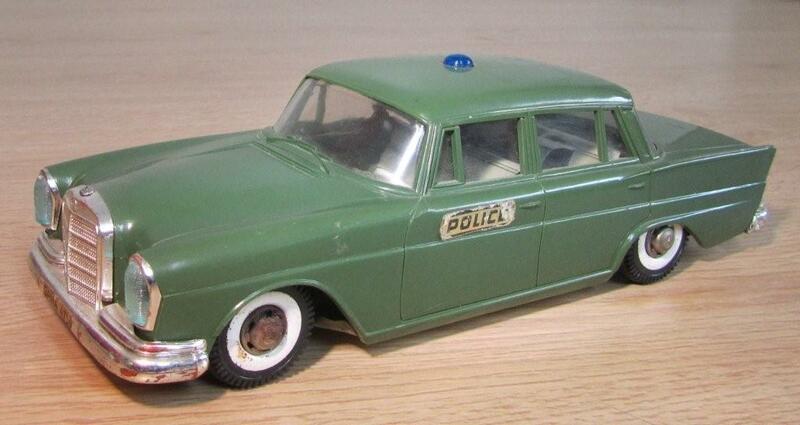 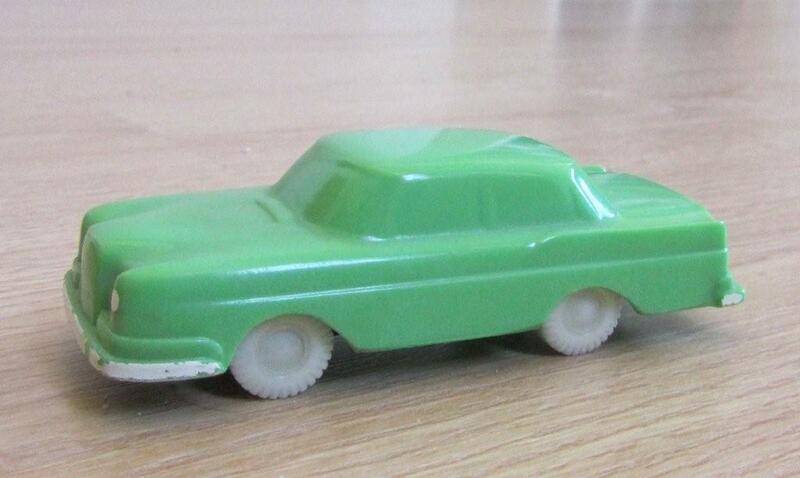 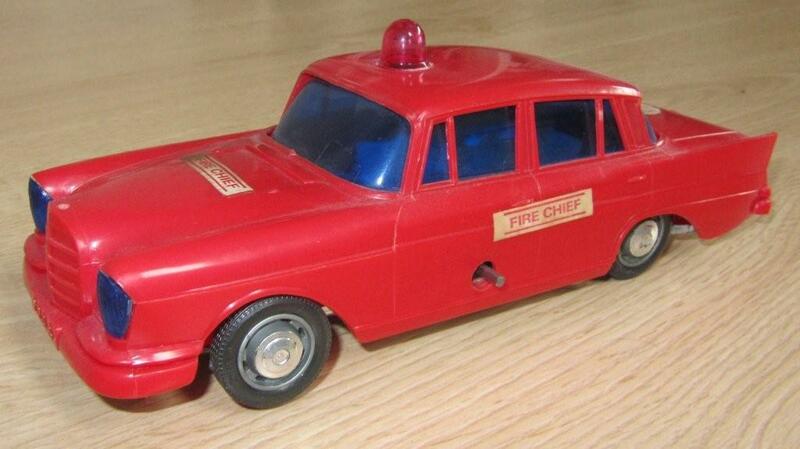 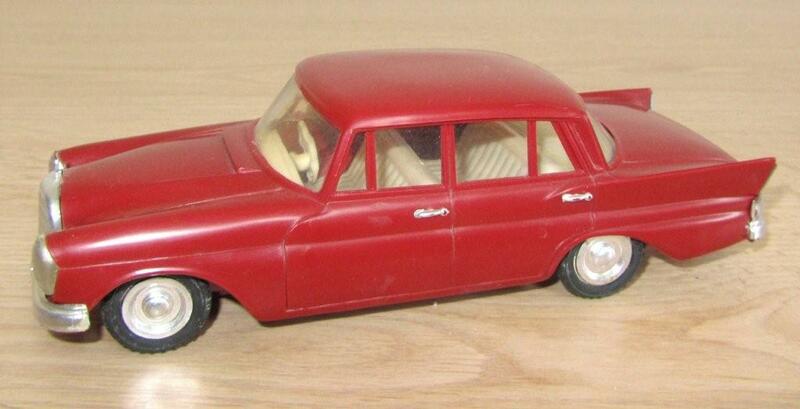 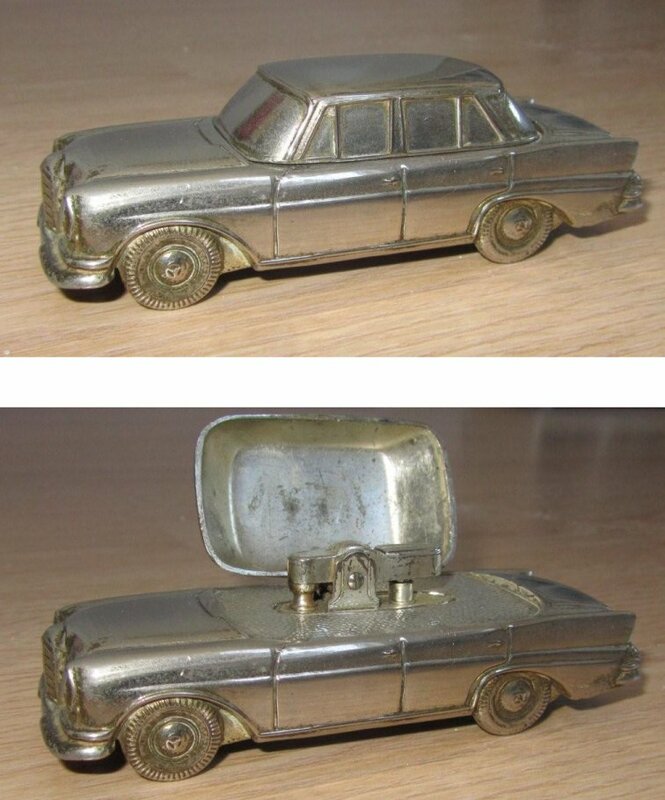 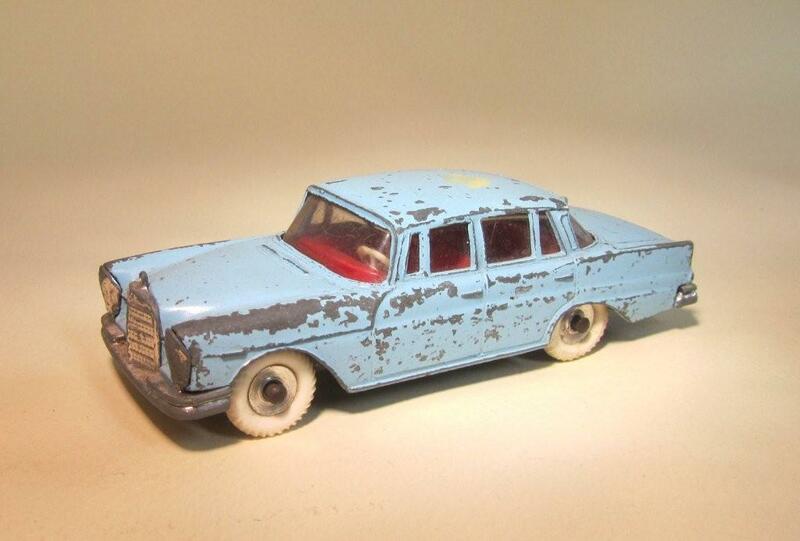 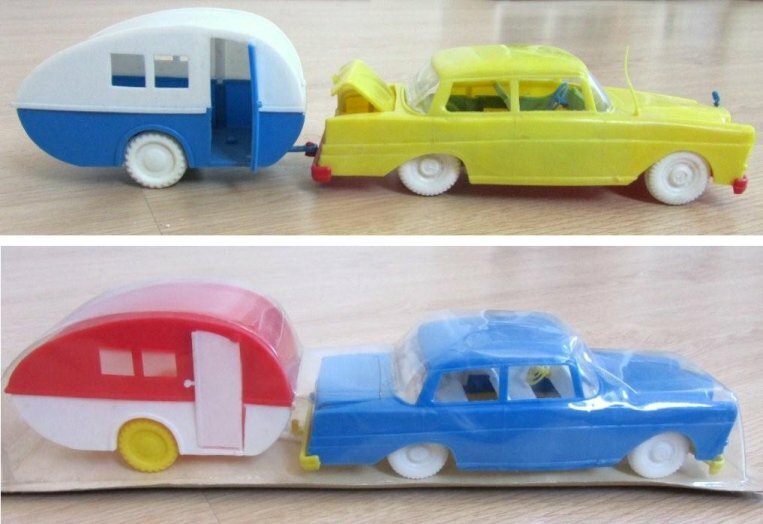 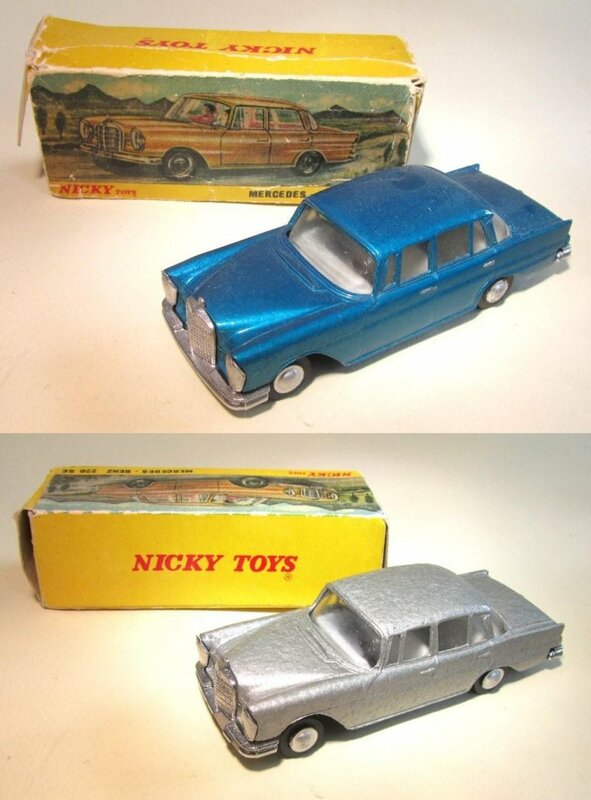 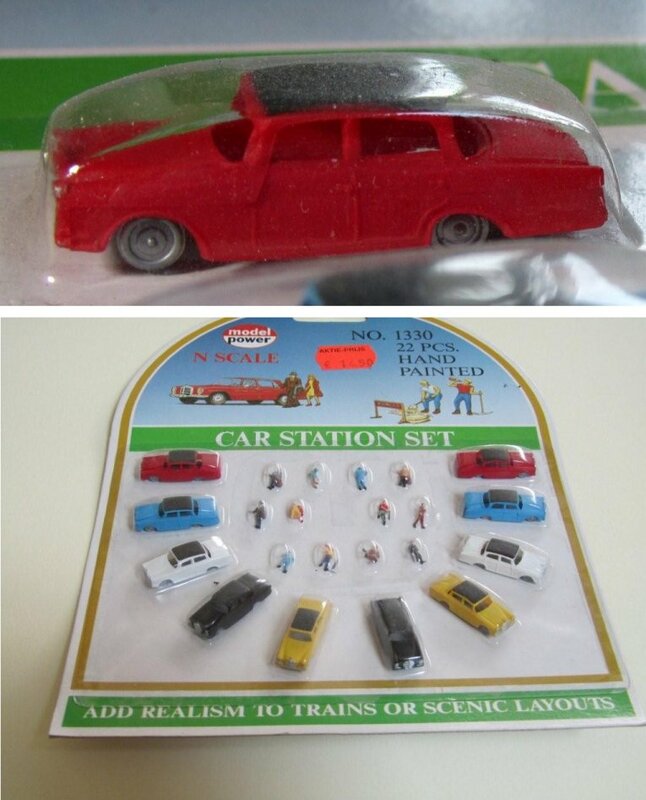 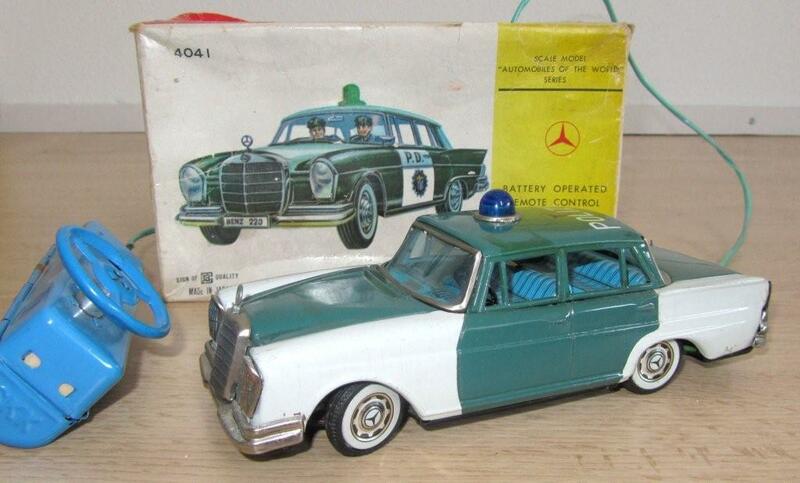 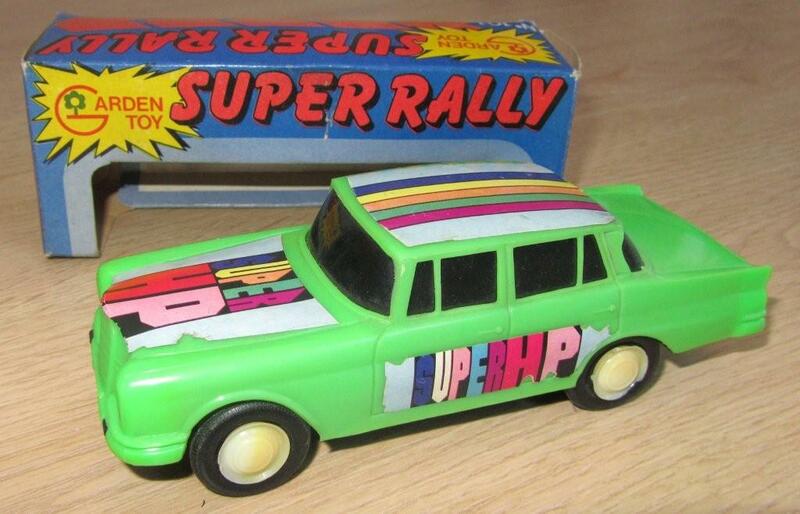 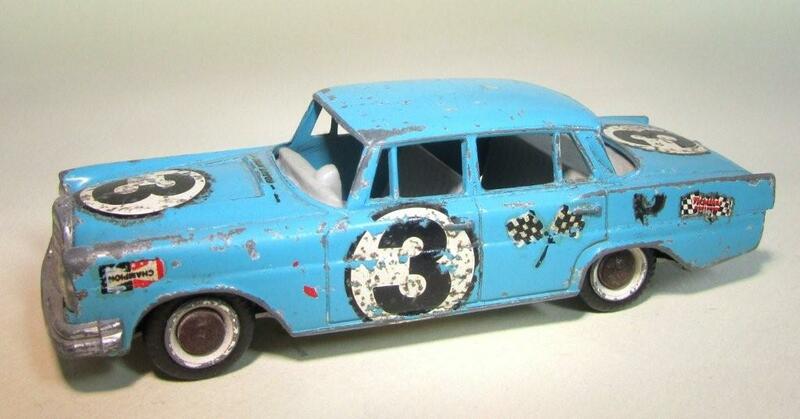 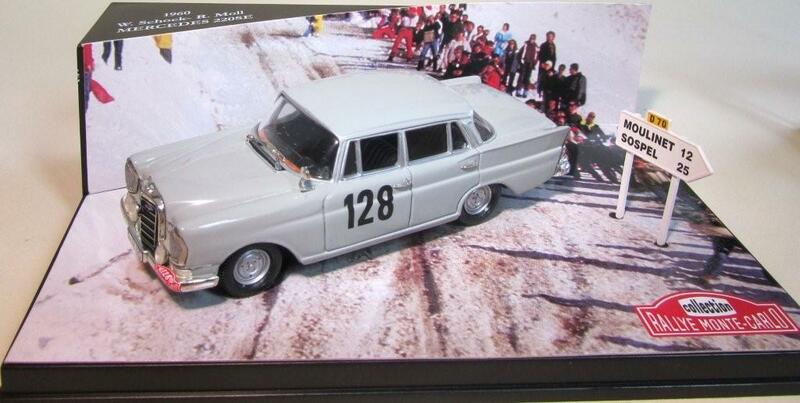 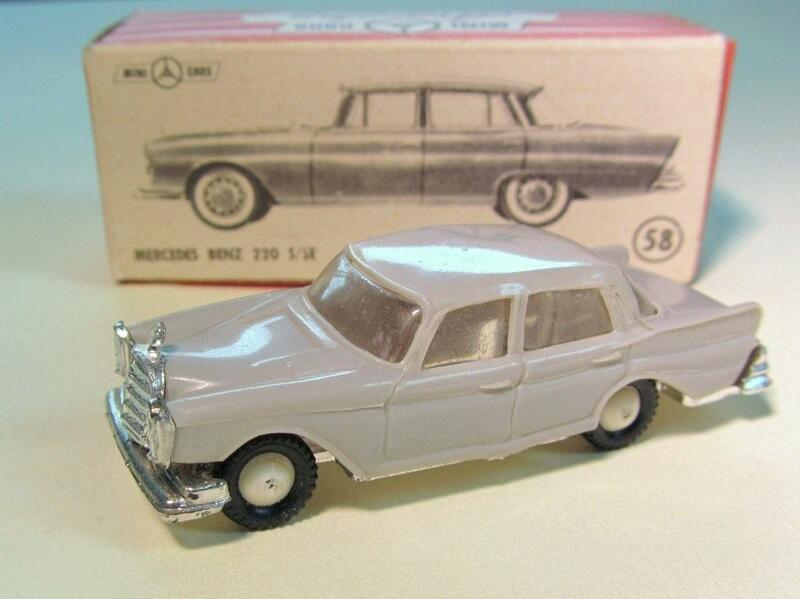 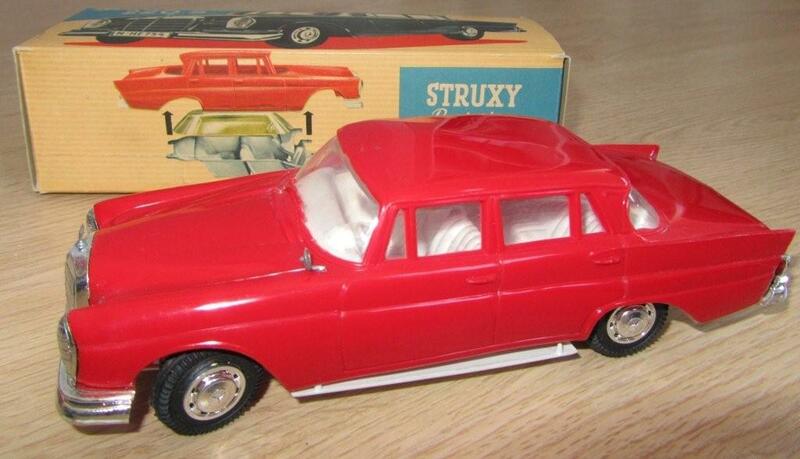 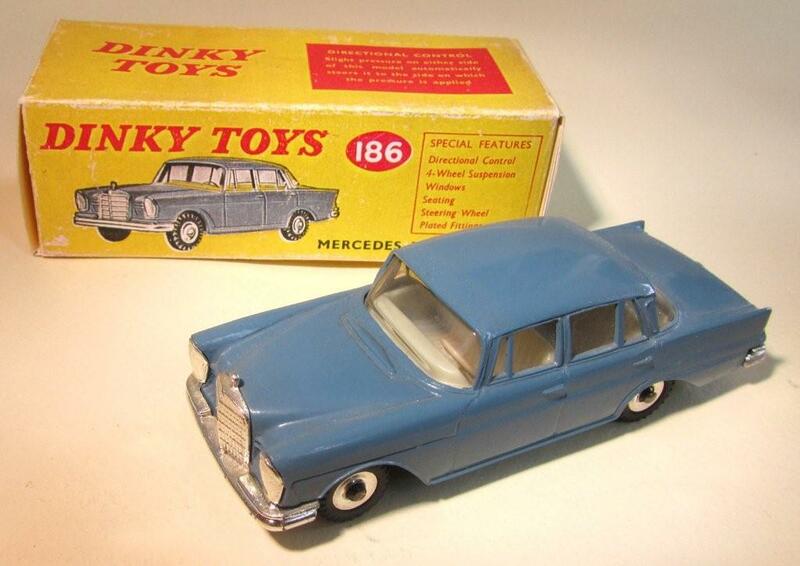 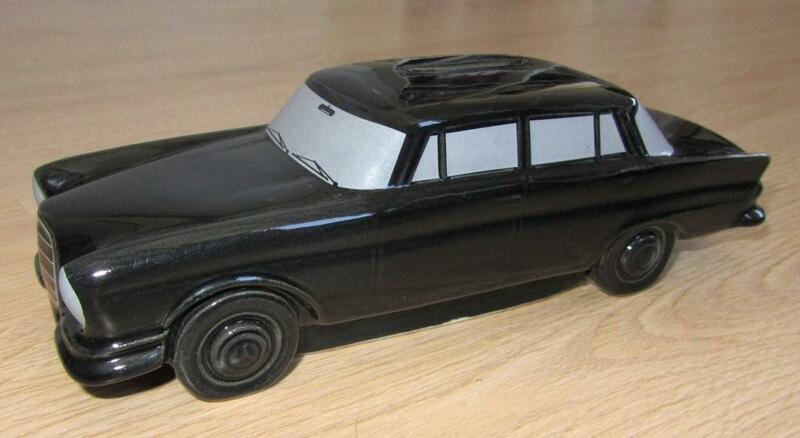 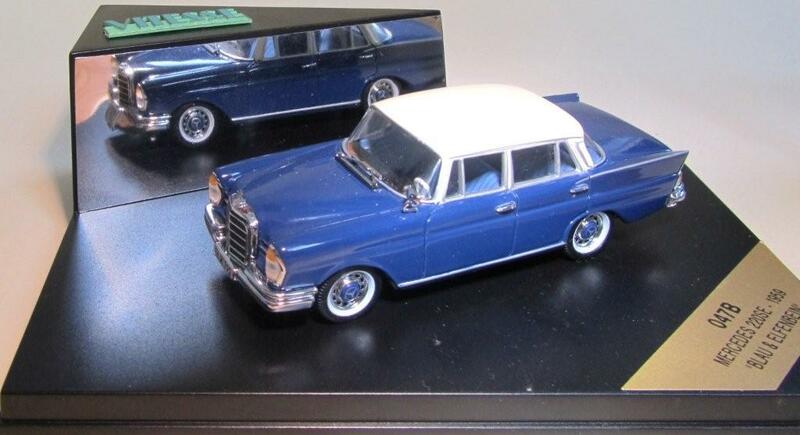 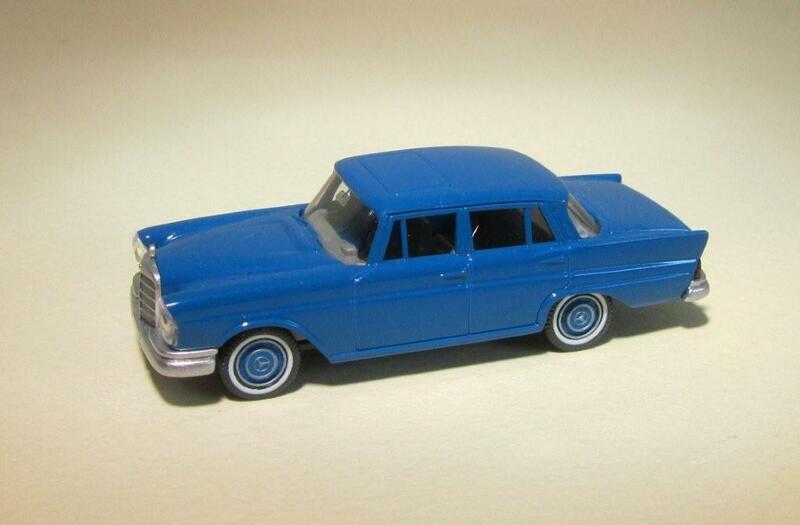 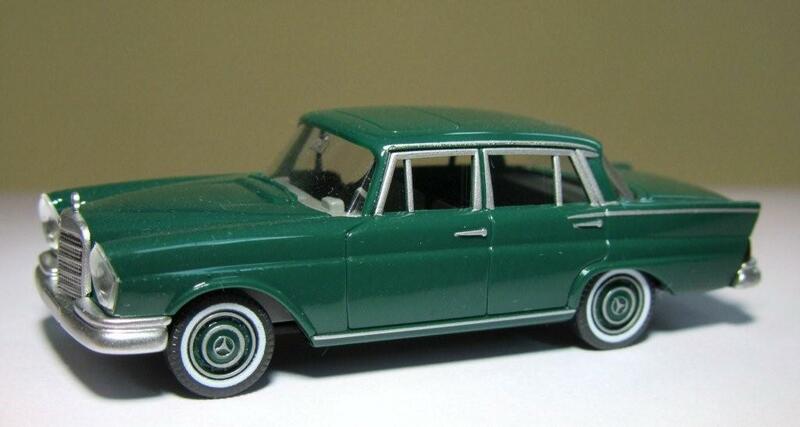 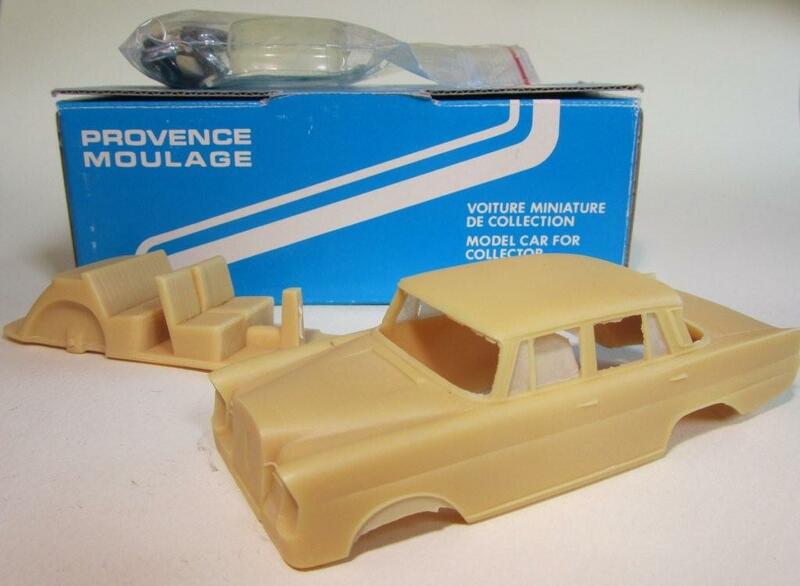 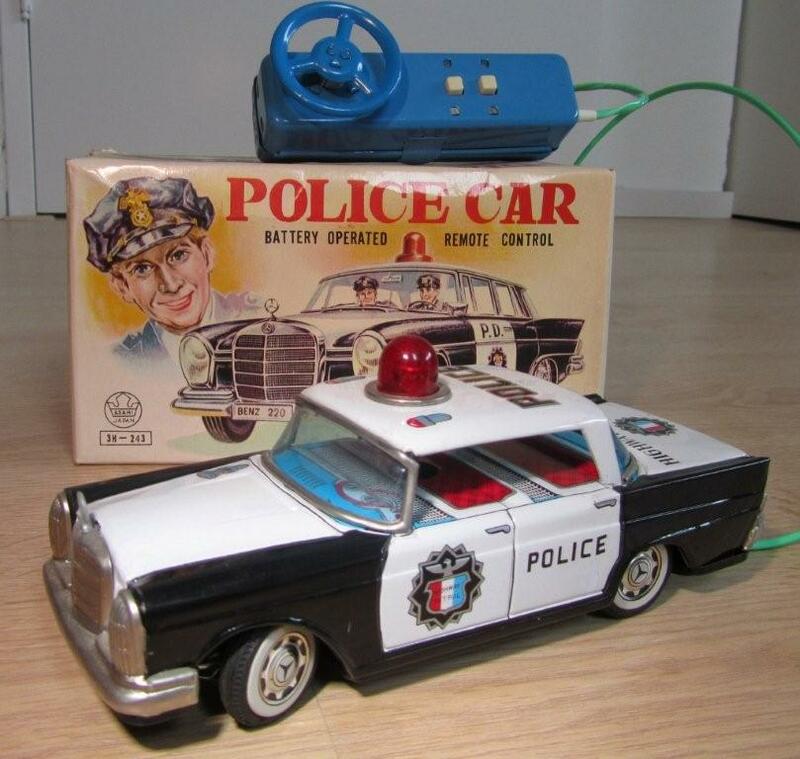 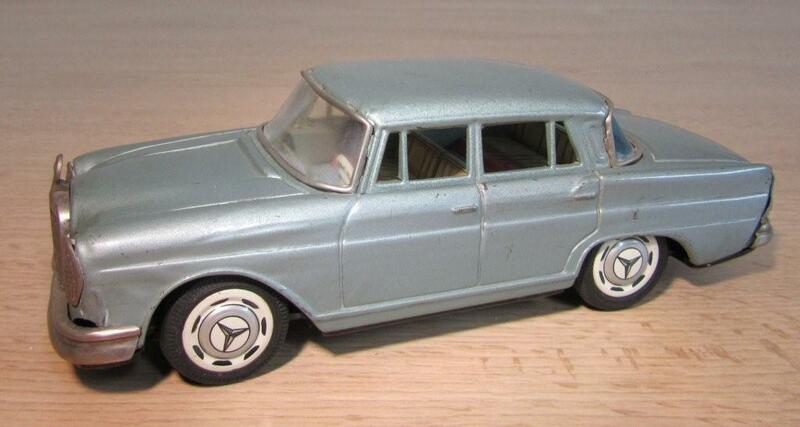 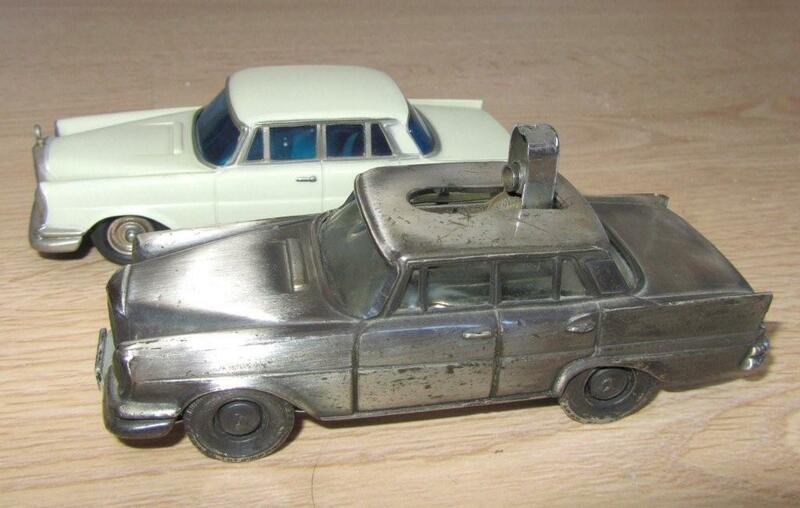 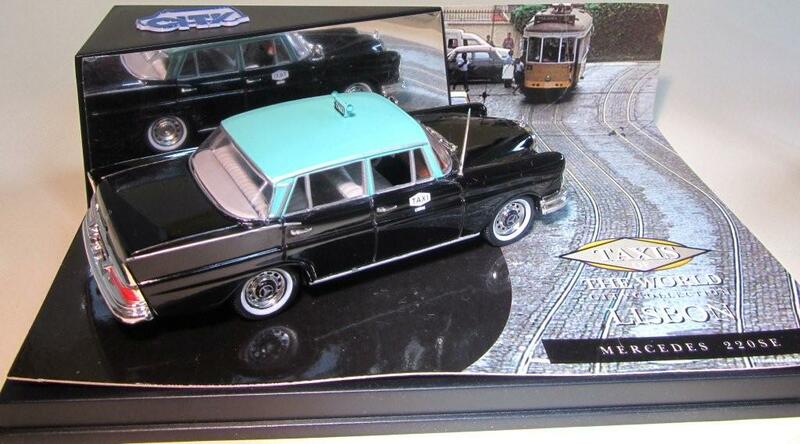 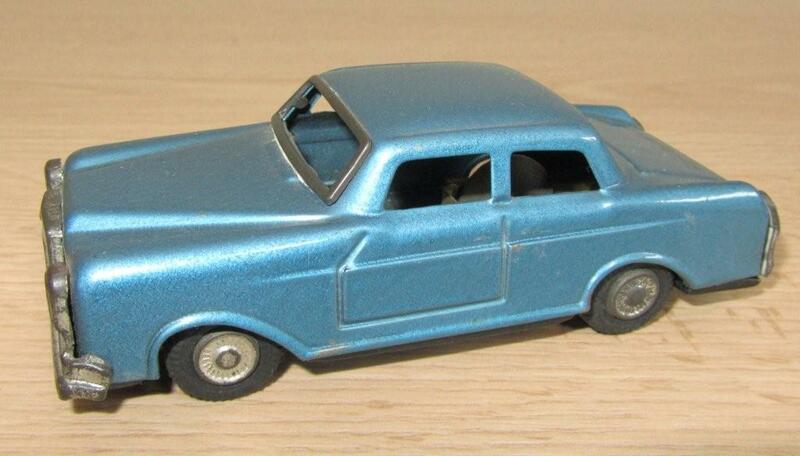 Lone Star England metal 1:63 Rally ? 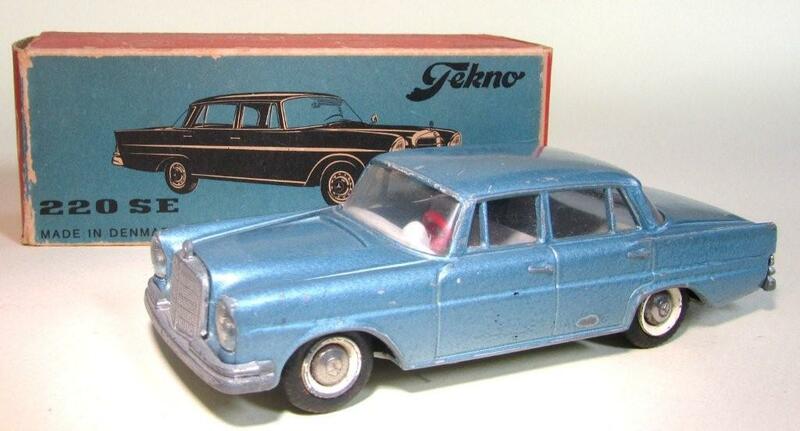 Tekno Denmark metal 1:43 Rally ? 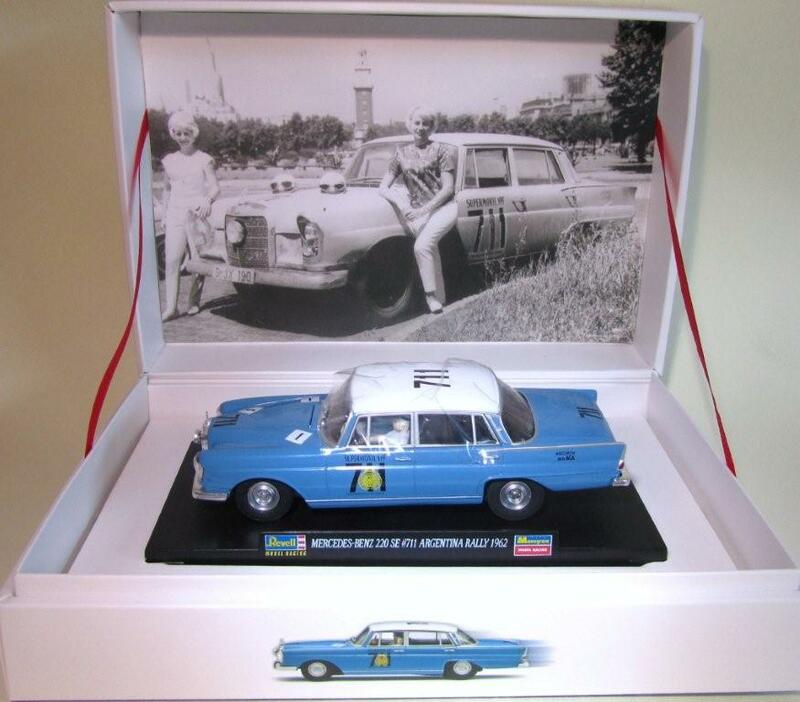 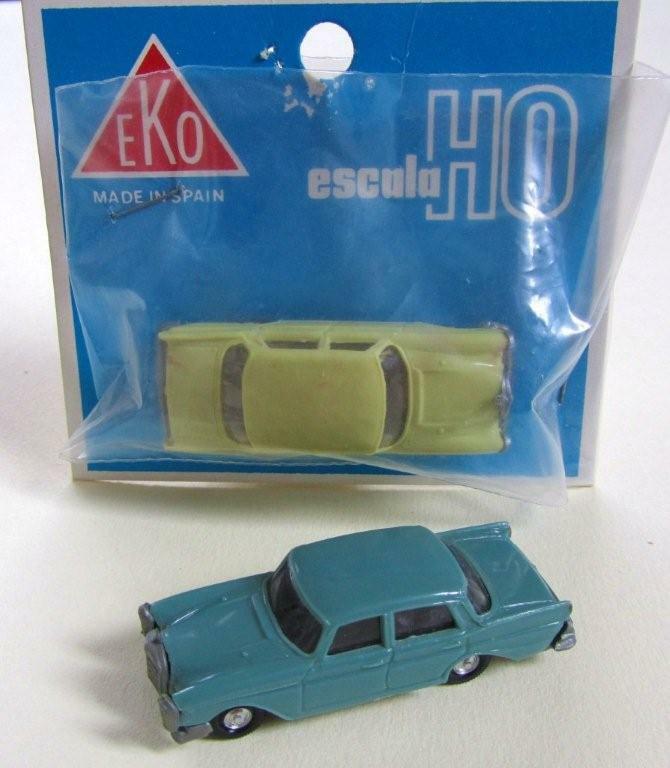 (Comando copy) Argentinia/Spain plastic 1:35 Rally, friction powered. 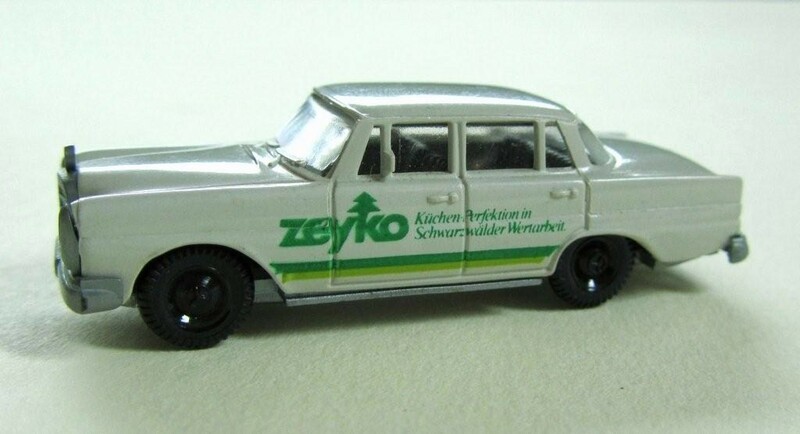 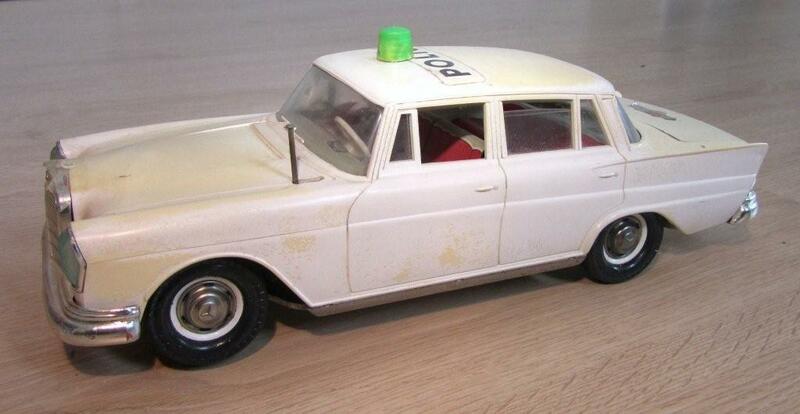 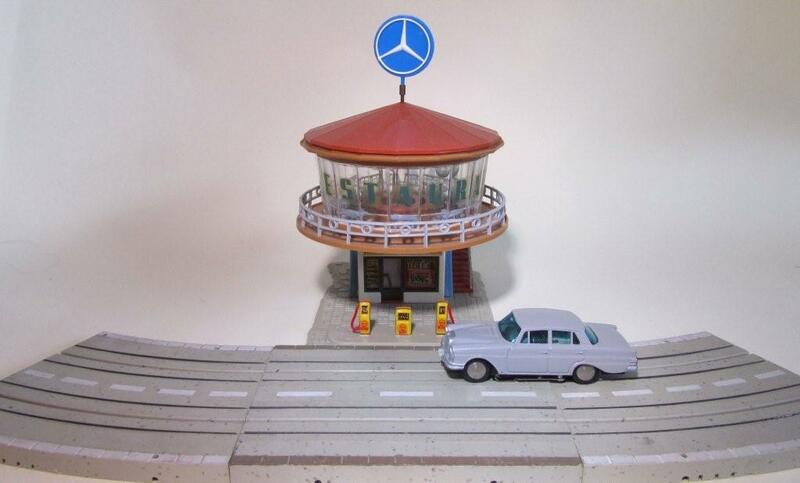 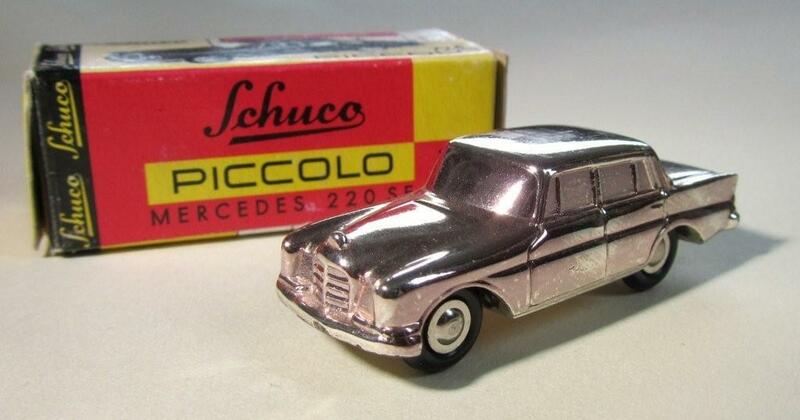 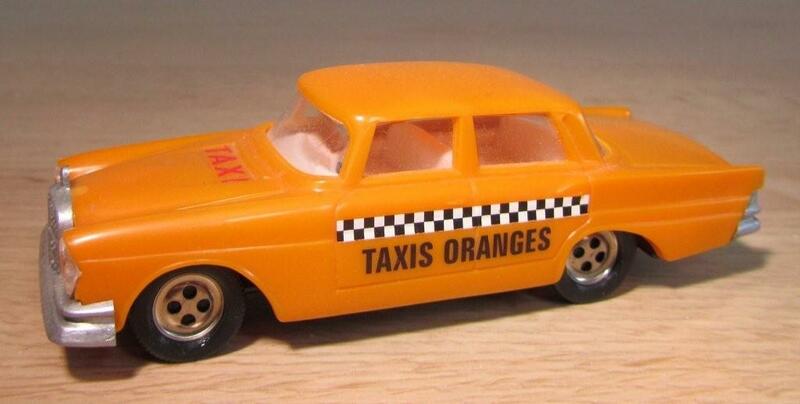 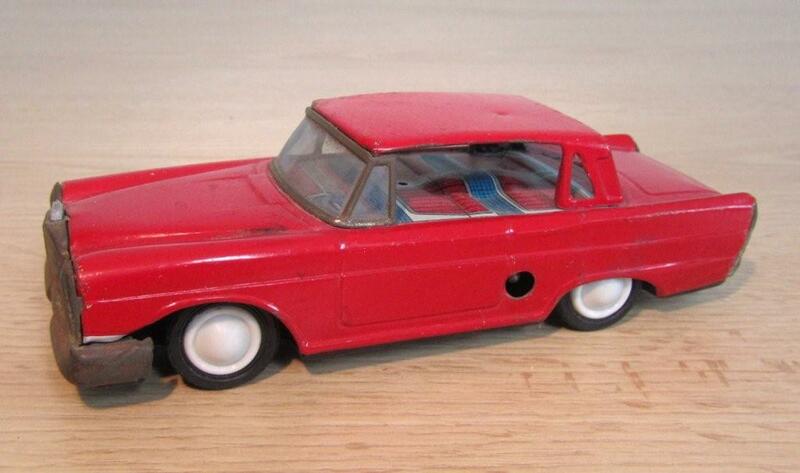 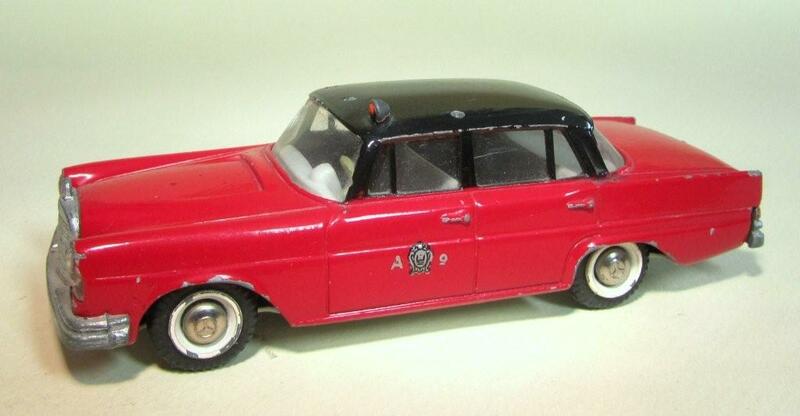 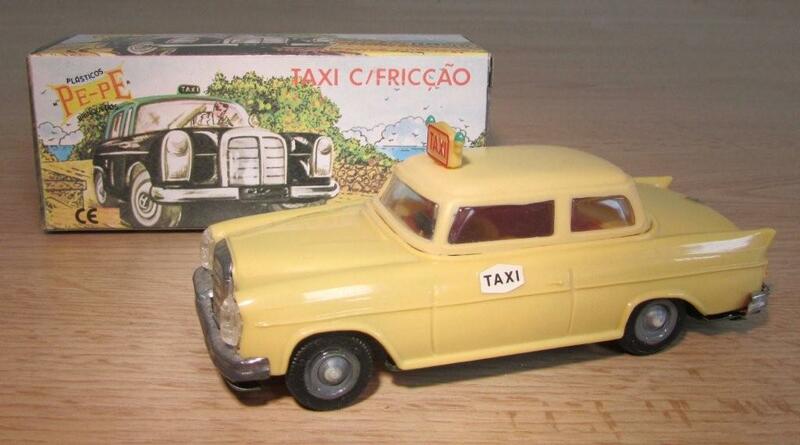 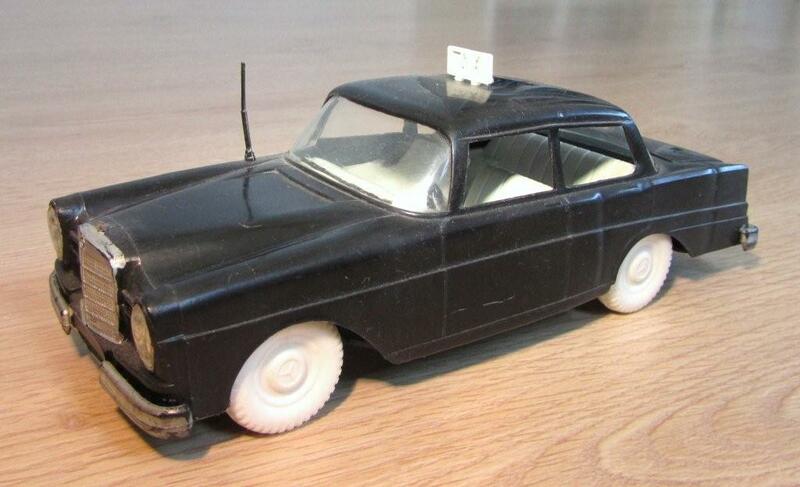 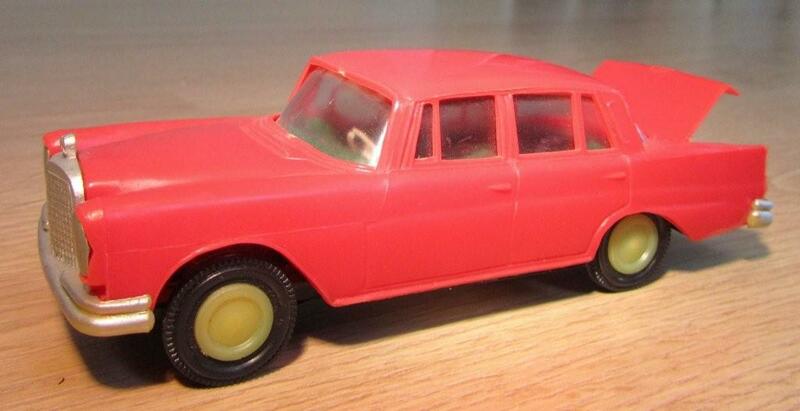 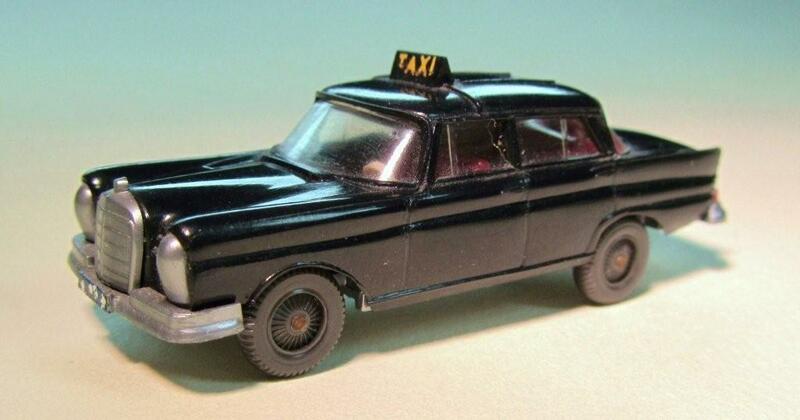 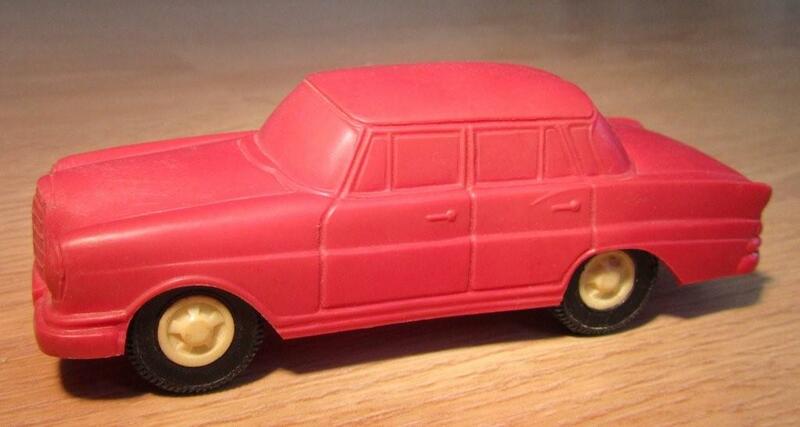 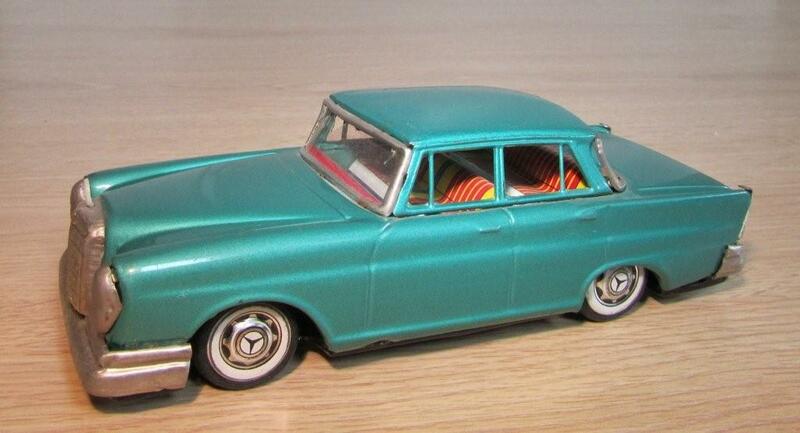 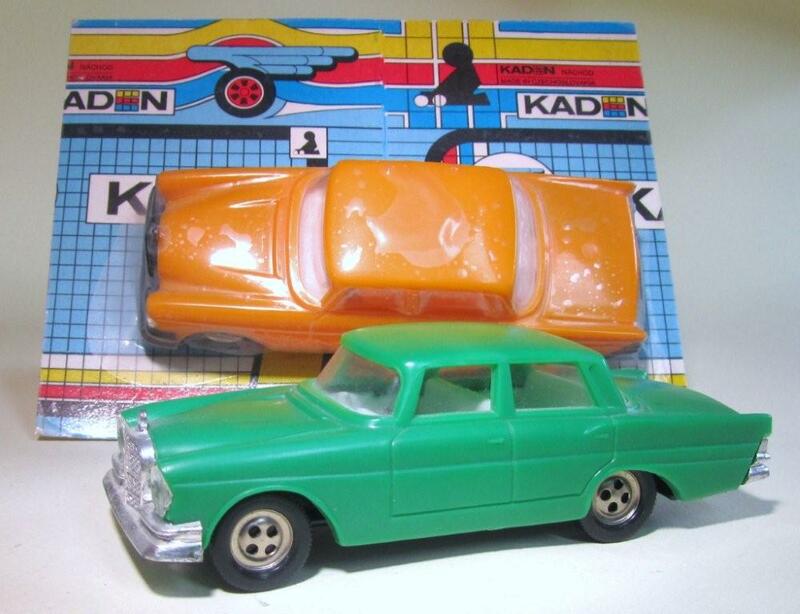 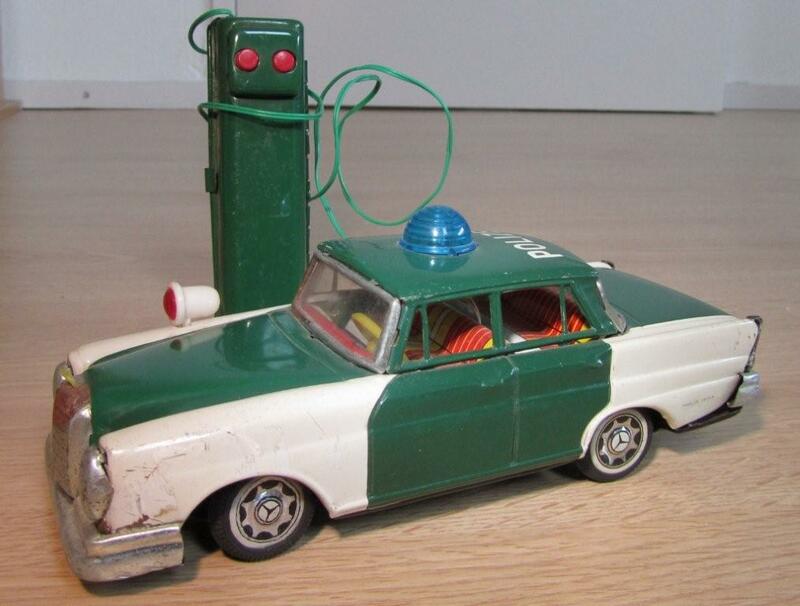 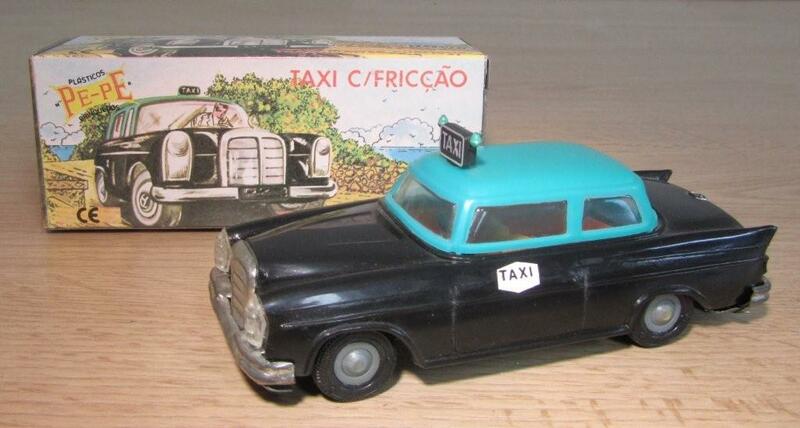 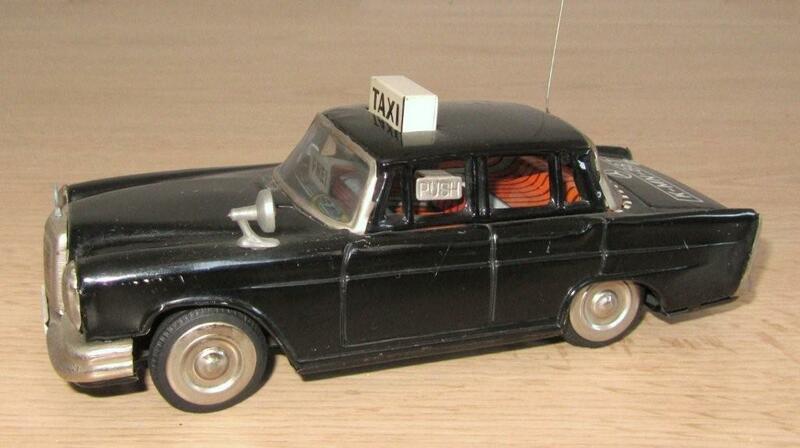 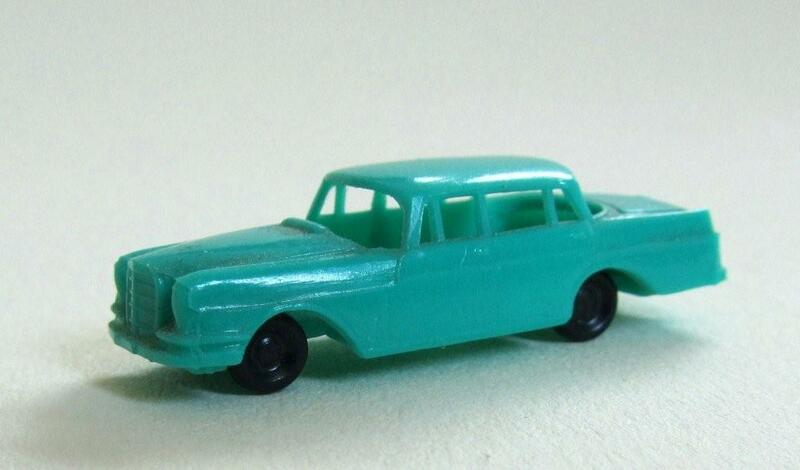 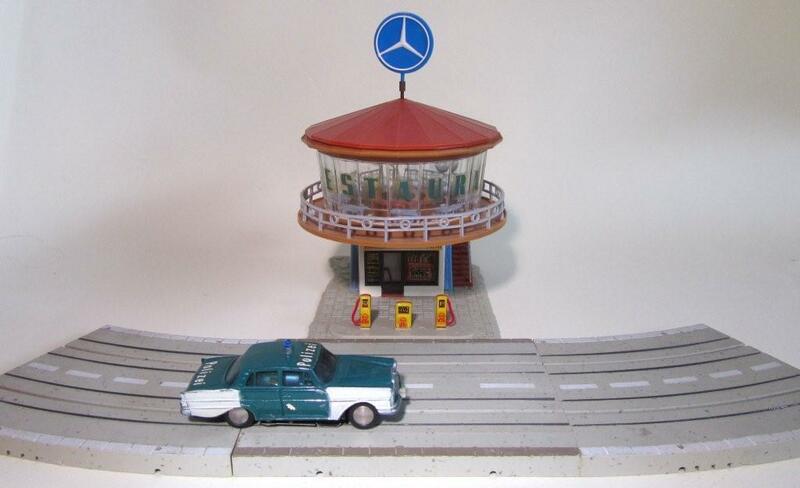 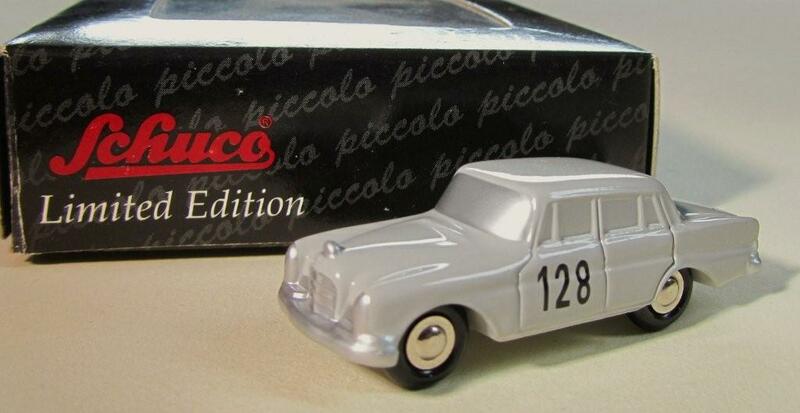 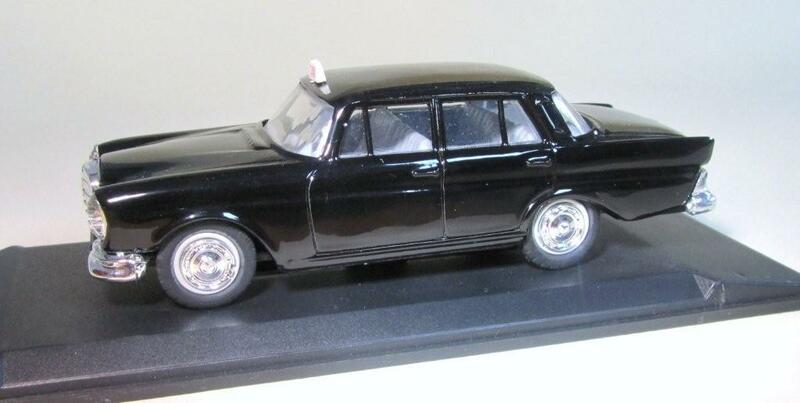 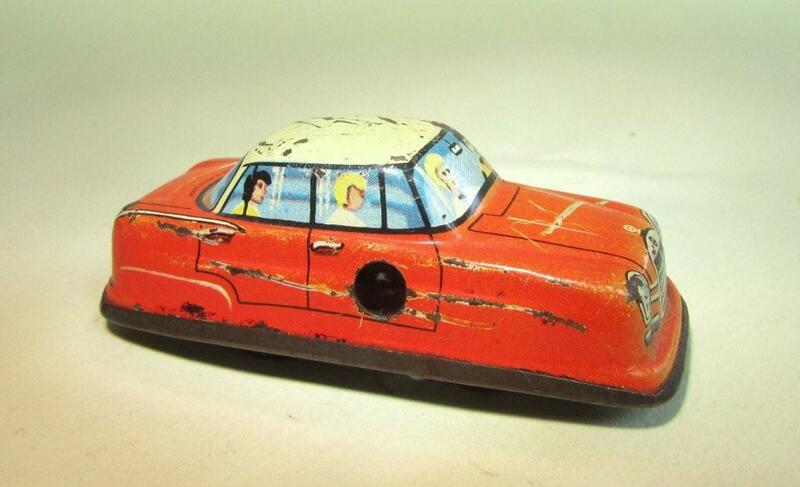 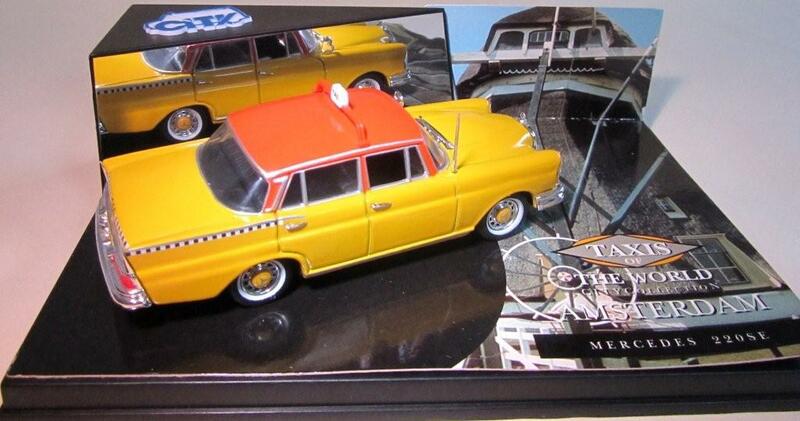 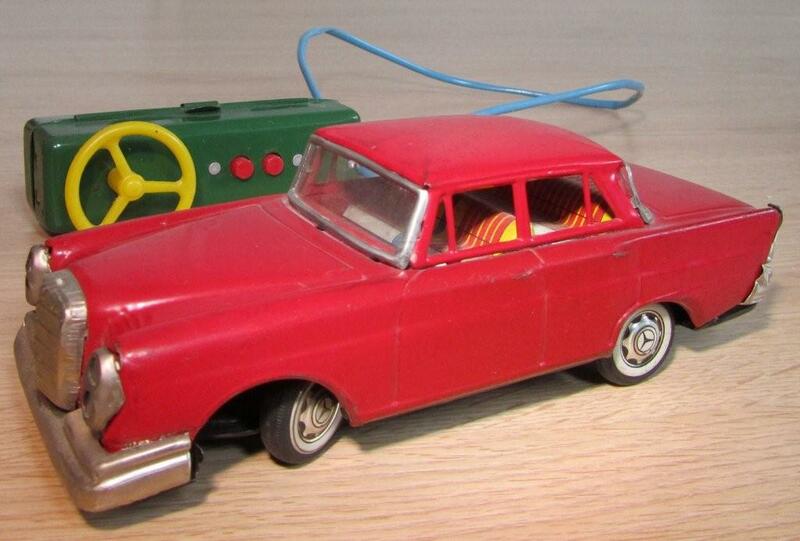 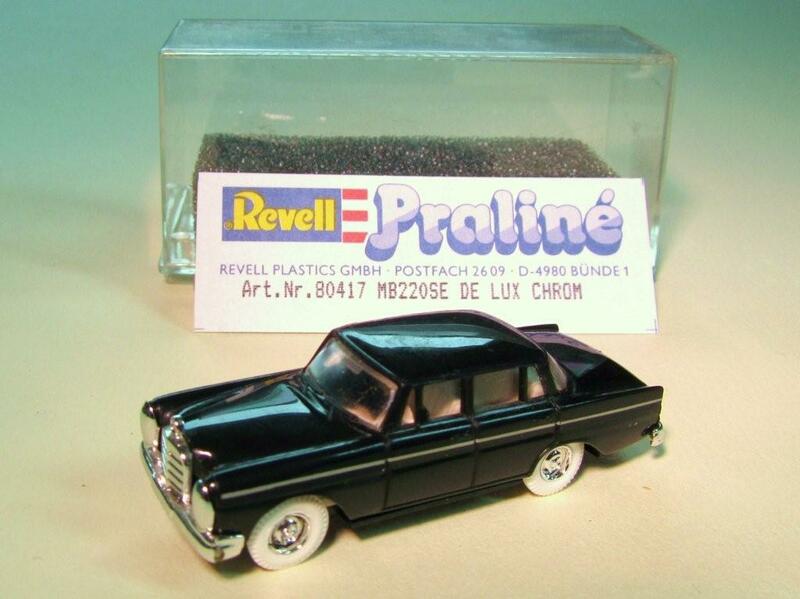 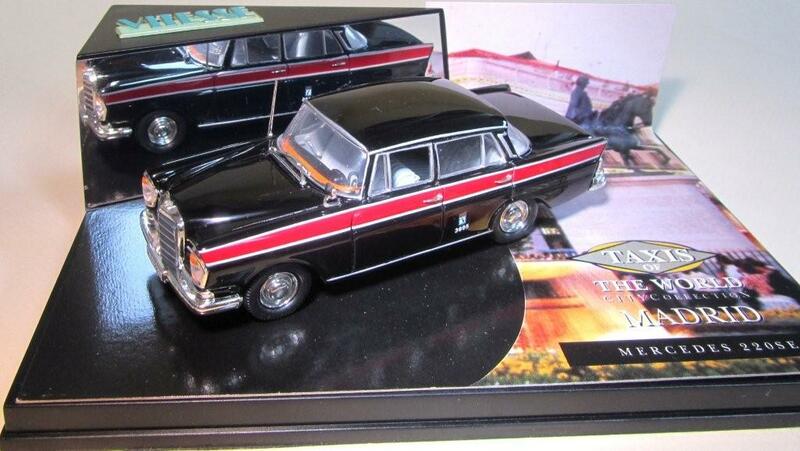 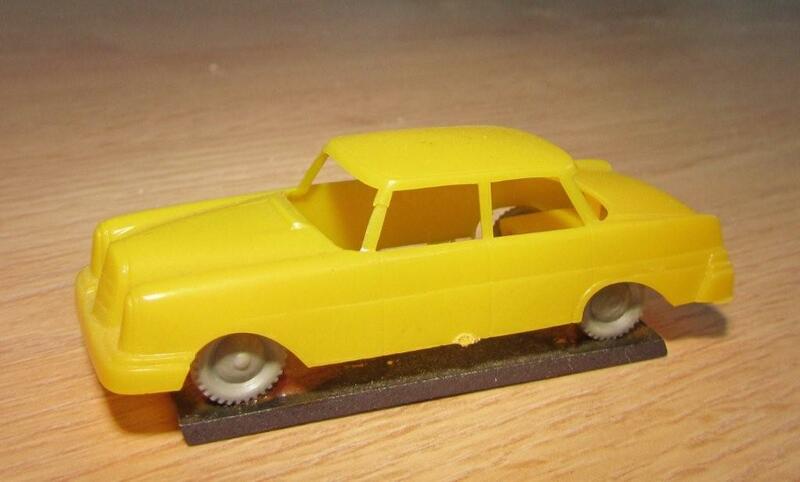 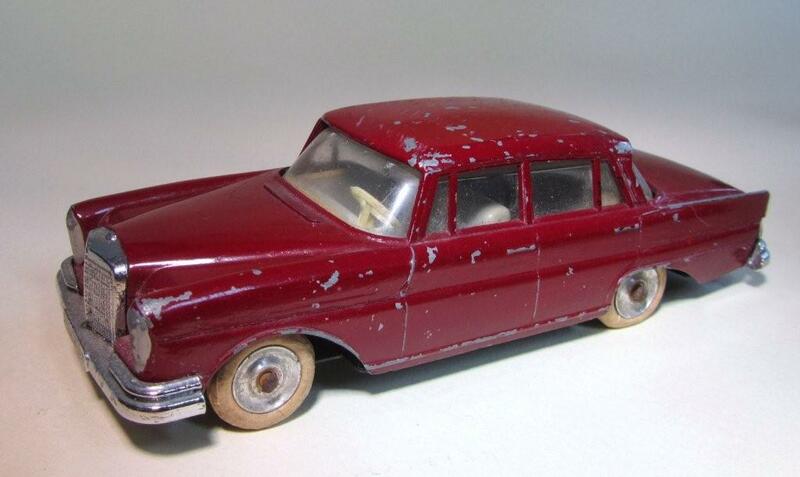 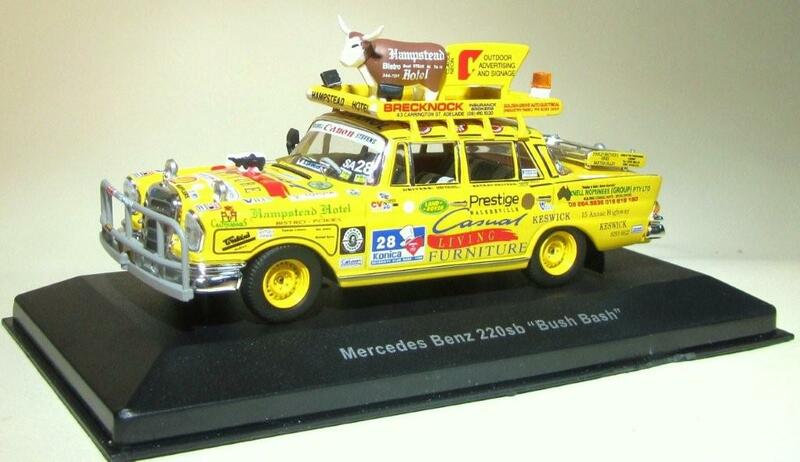 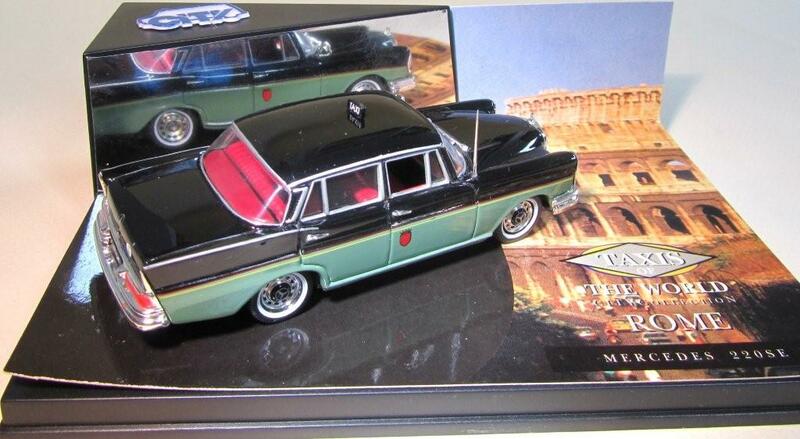 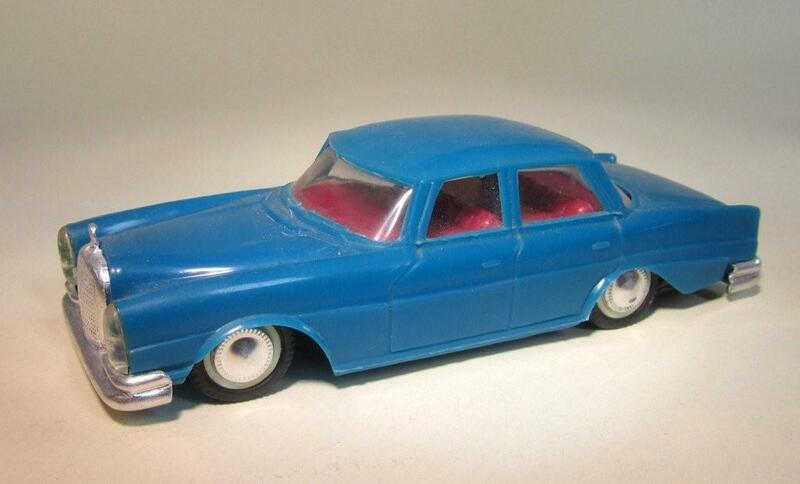 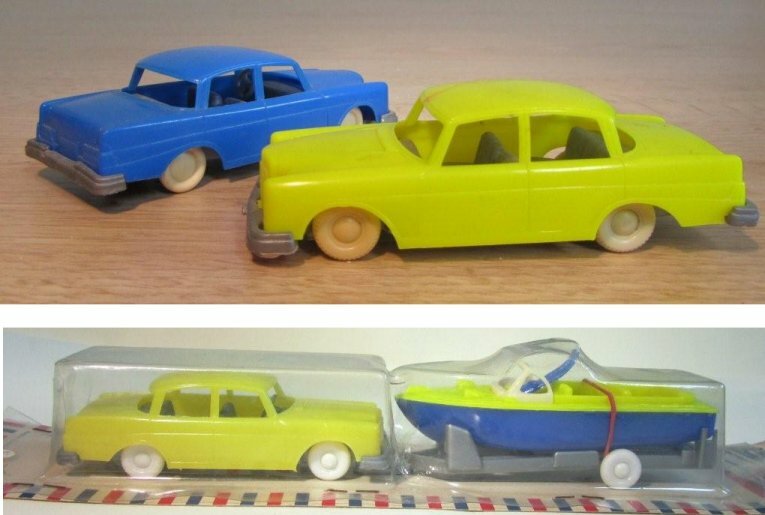 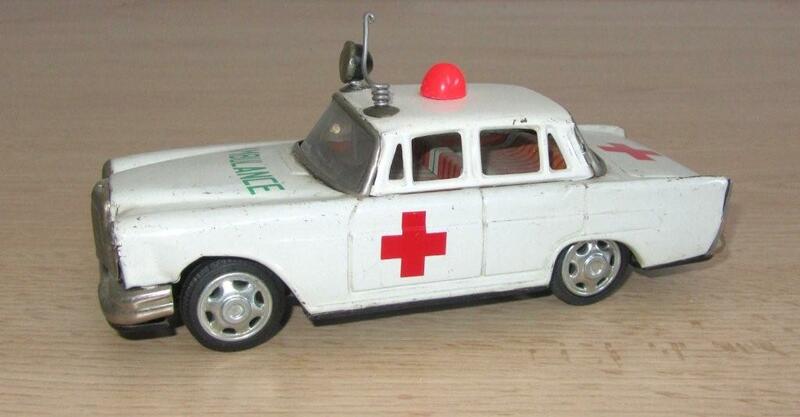 Ichiko Japan tin 1:25 Dutch taxi, friction powered, also in red. 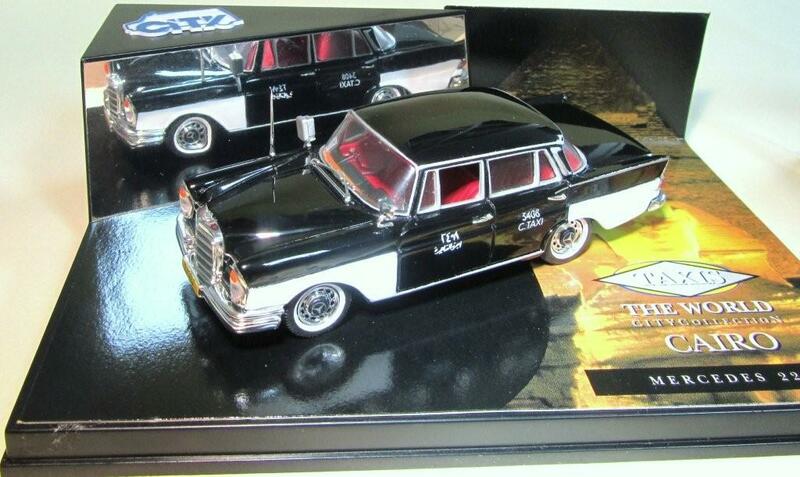 K�ps Germany Porcelain 1:21 civil "Piggy bank"